OzFenric has a background in biological sciences and information management. He has worked as a librarian, a web designer and a social researcher. In his spare time he leads a church choir, performs in amateur musical theatre and writes fiction. He has won peer awards for editing and for writing, but never anything with money attached! Recently there has been a lot of commentary about the Big Dry. From news.com.au to the 7:30 report to your nearest Facebook page and a dozen appeals for corporations and individuals to contribute to “drought relief” efforts, the winter of 2018 is full of stories of struggling farmers and dying animals. 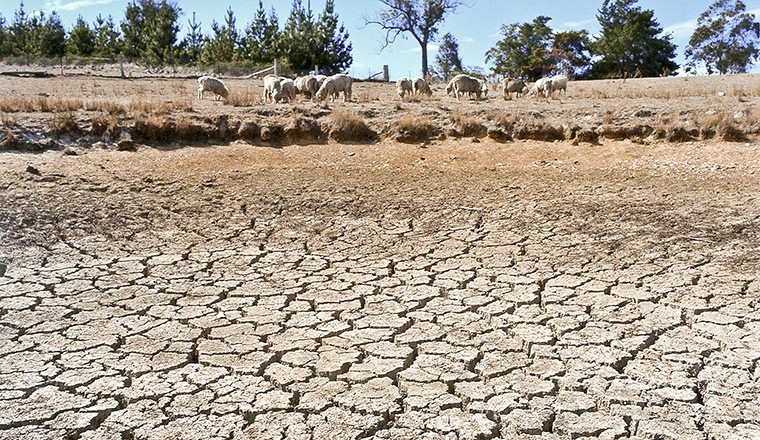 Farmers in NSW and Queensland are calling it “the worst drought in living memory“. So how bad is it really? Much of what we hear is anecdotal, and that’s bad enough. We hear that some regions have had no rain for more than a year. In other areas, farmers describe having had “almost no rain since 2010”. It’s bad enough that Scott Morrison calls it the highest priority for his new government, and State governments are falling over themselves to throw money at the problem (the NSW government has increased its drought relief package by another half a billion dollars). The current drought has been going for up to a decade now; Tony Abbott’s government called it a “once-in-a-century” drought when they announced a federal support package in 2014. And there’s no end in sight. There’s no question about it: Australian farmers, particularly in the food bowl to the continent’s south and east, are doing it tough. We are in the middle of a drought possibly more severe and more protracted than the Millenium Drought. But calling it a drought obscures our understanding of the true situation. Throwing more and more money – Federal and State relief packages, public “Save a Farmer” appeals, statewide Bunnings BBQs – however well-intentioned, might just be making things worse. This drought was already well-established when we were talking about it back in 2014. When Tony Abbott was doing the tour of drought-affected regions and declaiming ““If you look at the records of Australian agriculture going back 150 years, there have always been good times and bad times. There have always been tough times and lush times and farmers ought to be able to deal with the sorts of things that are expected every few years,” the drought had been ongoing for four years. Four years later and there is no indication of the weather changing soon. And when it does change? When the rains come, will farmers be able to pick up their shovels and go back to business as usual? Will we wipe our brows with relief and thank providence that the bad times are over? Perhaps. But not for long. The current dry in Queensland and NSW is not a short-term anomaly. It’s not a once-in-a-century drought event. Certainly, it’s not the kind of conditions you would have expected to see a century ago, but the world now is not as it was then. Our climate has changed. That’s a past-tense statement, and while it is also true that our climate continues to change, it would be foolish of us to think that things can ever go back to business as usual. For decades scientists warned us what would happen if our carbon-driven course was not changed. We largely missed our opportunity to avoid the consequences we are now seeing. These consequences were predicted and should surprise nobody. This is the Bureau of Meteorology’s drought map for the past three months (May-June-July 2018). Looking at recent data is just one part of the equation. The real test is identifying trends, extrapolating those trends into the future, and seeing how they match up with the predictions of climate science. Fortunately we have access to trend data. These charts are from the report Australia’s Changing Climate (available at https://www.climatechangeinaustralia.gov.au/media/ccia/2.1.6/cms_page_media/176/AUSTRALIAS_CHANGING_CLIMATE_1.pdf). There is strong congruence between what we are seeing in current climate trends and what has been consistently predicted. And what has been predicted, is that droughts will be more common and more severe in the years ahead. This drought will break. At some point in the future, whether it be one year from now or five or ten, the rains will come and Australia will once again bloom to life. In some places, we will still have farmers, doing it tough, waiting for the Dry to end. For a while, there will be celebrations. But this drought will have permanent, irreversible consequences. When trees that are 100 years old die, they don’t grow back. The land is permanently changed. It is less able to absorb and hold the water when the rains do come, leading to erosion and land degradation and a further reduction in the water table. And how long will it be until the next drought arrives? Everything we know and everything we learn tells us that droughts will become more frequent and more severe. This current drought is not the worst we will have. Australia is a land where the cycles of drought and flood are etched into the landscape. But trees that are 100 years old survived the last drought, and the one before that. In some respects, this drought is no different to the ones that came before. Yet the straw that broke the camel’s back is for all intents and purposes identical to all the others. This is just a drought. But it is also an inevitable outcome of the new normal climate that we have created, that we are still creating. This is the natural outcome of a changed climate and the sooner we get used to the idea, the better. Only then can we start to think about longer-term solutions – which probably do not include farmers and graziers staying on the land as they have done in past decades. Yesterday in Parliament several government MPs, including Prime Minister Malcolm Turnbull, decried Labor’s opposition to proposed changes to the Racial Discrimination Act (RDA) as a claim that Australians are racist. “[The Opposition] believe[s] that Australia is a nation of racists only held in check by Gillian Triggs and section 18C,” said Turnbull. “We have more respect for the Australian people.” Turnbull and at least three other government members claimed that Labor’s opposition to the changes stemmed from Labor’s belief that Australians are deeply racist. The concerns about the 18C provisions were sparked by multiple court cases brought against columnist Andrew Bolt and cartoonist Bill Leak. Some conservative members of the Government would prefer clause 18C to be abandoned entirely, arguing it is a constraint against free speech. Even the current changes, however, face an uphill battle in the Senate. The existing provisions of 18C have been in place for two decades and there now exists many years of case law clarifying the legal definitions of the terms “offend, insult or humiliate”. Experts have warned that changing the wording of 18C to remove these terms and replace them with “harrass” will inevitably lead to a large number of new cases as complainants seek to test the law. Note: this is a work of satire and should not be taken as news, either real or alternative. Yet. Politics used to be hard. You had to balance the needs and desires of a wide range of stakeholders with competing interests. You needed to communicate the benefits of your actions, and contrast them to the failures and flaws of other approaches as proposed by your political opponents, interest groups, lobbyists and the media. You needed to worry about balancing the budget, setting an appropriate level of tax and impost on those with plenty without offending them so they would prefer to spend their money on pulling you down, and an appropriate level of social support for those with little so they don’t spend their time marching on the streets. Politics used to be about a million little decisions and benchmarks and complicated analysis of every possible decision to identify, as closely as possible, the full range of those it could hurt or help. With the rise of right-wing populism, and the ensuing assumption to the Presidency of Donald Trump, it is becoming apparent that these considerations are luxuries. There are basic, fundamental questions and requirements that must be met before higher-level consideration of costs and benefits can be addressed. The United States of America, to date, has been blessed with leadership that can largely take these fundamental questions as granted; Presidents and Congressmen for whom common sense and fundamental decency provided a baseline of behaviour and practice allowing politics to move on to the more complicated and difficult questions of policy. If this is a fundamental benchmark, unfortunately in the lead-up to his inauguration, Donald Trump’s record so far is not promising. Even before Trump has entered the Oval Office, he and his incoming administration are taking the first steps to dismantle the Affordable Care Act. Commonly (and derogatively) referred to as “Obamacare”, the ACA made significant changes to America’s healthcare systems. (A simplified explanation is available here: https://www.youtube.com/watch?v=JZkk6ueZt-U) Whilst there were some people who faced higher taxes, and some who were forced to buy (subsidised) health insurance or face a levy, the main outcome of Obamacare was to massively increase the coverage of health insurance. Suddenly, millions of Americans who previously did not have and could not get insurance were able (and required) to get insurance. Empirically and provably, this saved lives, and continues to do so. Provisions in Obamacare improved hospital care standards and reduced preventable deaths. The Affordable Care Act made it illegal for insurers to deny insurance to those with prior conditions. The ACA made it illegal for insurers to classify “being a woman” as a pre-existing condition and charge higher premiums. The ACA provides means-tested subsidies for health insurance. The ACA significantly expanded Medicaid (America’s version of Medicare). The ACA regulated subsidies for medicines and ensured access to those who needed them. And the Affordable Care Act prevented insurers from unilaterally cancelling insurance for Americans when they got sick. Even if the Republican Senate and Congress replace the Affordable Care Act promptly, the kind of plans they have suggested and are still promoting will be a return to the bad old days and all of these things, demonstrably detrimental to the lives and health of the American public, will return. According to critics, repealing Obamacare would put coverage at risk for more than 20 million Americans covered under the law’s insurance exchanges and Medicaid expansion. Repealing the Affordable Healthcare Act, with no replacement scheme ready and potentially no intention to ever implement such a replacement scheme, will inarguably kill Americans. On 10 January, President-Elect Donald Trump had a private meeting with Robert F. Kennedy, Jr., who later the same morning claimed that Trump had asked him to lead a government Commission into Vaccine Safety, including ensuring “scientific integrity in the vaccine process for efficacy and safety effects.” Kennedy is a well-known vaccine skeptic, a proponent of ideas first raised by Andrew Wakefield. Wakefield’s research was later proved to be falsified, with the British Medical Council finding Wakefield guilty of dishonesty and of “callous disregard” for the pain of the children in his study. Despite being struck off the register of licensed medical practicioners and thoroughly disgraced, Wakefield’s ficticious link between vaccines (and the preservatives in them) and autism has persisted. Thanks to some high-profile advocates (Jenny McCarthy, Jim Carrey and Rob Schneider are amongst the most well-known) there remains a substantial undercurrent of skepticism towards vaccination of children, a trend that public health advocates have struggled for decades to address. To the list of public proponents of the vaccines-autism link you can add Donald Trump, who has been a critic of immunisation for decades. Now, as President-Elect, he has the public profile that takes his beliefs from “dangerously misguided” to “actively harmful”. As President, the things that Trump believes and states will hold some weight with Americans. The things he chooses to support – such as an official investigation into the “dangers of vaccination” – will affect the beliefs and actions of Americans. By appearing to support the connection of vaccination and autism (and other, unspecified harms) Trump gives legitimacy to those who oppose immunisation and either choose not to vaccinate their own children or encourage others likewise. The antivaccination movement is already too strong. Increases in the rate of unvaccinated have contributed to outbreaks of preventable disease in the last few years – for example, a measles outbreak at Disneyland in 2014, which contributed to a resurgence of the disease after it was almost eradicated in the year 2000. That outbreak did not cause any deaths, but it could have. The CDC estimates that 164,000 people around the world die from measles each year. Whooping cough, another vaccine-preventable disease, is experiencing a resurgence in the United States and, globally, causes almost 200,000 deaths per year. Preventable diseases will not always kill those that experience them. Healthcare in the United States is reasonably high-quality and most of those admitted to hospital with measles or whooping cough or other diseases will survive. However, not all will. And with the increase in the rates of non-vaccination, major outbreaks of disease become more likely, herd immunity decreases, and the severity of diseases will increase. Playing with unscientific, dangerous screeds like vaccine-autism linkages will contribute to a reduction in the American public’s health and well-being, and whilst the linkages might be tenuous, will kill Americans. By now you may have heard about Michael Moore’s recent prediction about Donald Trump’s Presidency. No, not the one that correctly predicted, six months in advance, that Trump would win. The other one. “Donald Trump is Gonna Get Us Killed“. Moore argues that Trump’s attitude towards the daily security briefings each President receives from the combined services of the country – to wit, that he doesn’t “need to hear the same thing over and over each day for eight years” and won’t bother to attend them – will weaken America’s readiness for the next terrorist attack. Perhaps starting as he intends to continue, reportedly Trump had only attended “two or three” of the first 36 briefings. It might be argued that the security apparatus of the United States has things well in hand, and Trump’s inattention won’t, by itself, lead to security breaches. Moore points to George W Bush, who allegedly ignored briefings that, if acted upon correctly, might have prevented Bin Laden’s 11 September 2001 attacks on the World Trade Center and Pentagon. It’s easy in retrospect to say that more attention to any specific piece of information could have reached a different outcome, but there are a multitude of threats and countries do have to rely primarily on their security forces, not the actions of a specific Head of State. It is surely, however, incumbent upon that Head of State to pour oil upon troubled waters, not petrol onto fires. The world in 2017 is rife with threats – from climate change and the global unrest it will create, to the imperial ambitions of China and Trump’s good friend Russia, to the bellicose rumblings of North Korea and Iran, and the ongoing threat of Isis. So is Trump a peacemaker? Or is he a trembling finger-breadth from pressing the nuclear button? The President of the United States is the only person in the world with the ability to unilaterally launch a nuclear strike. The executive powers granted to him do not require a second person to confirm the order, and nobody in the US government has the authority to countermand or disobey him. The only thing stopping a President from laying waste to a city full of civilians – and seventy years of tacit agreement not to use nuclear weapons – is an appreciation of the ramifications. 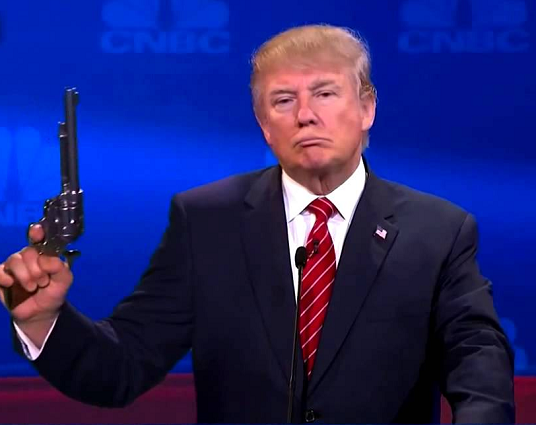 Donald Trump’s instant response to any form of criticism or threat is to attack with full force. America’s early warning systems have malfunctioned and provided erroneous information about an incoming nuclear attack on the USA on many previous occasions. It may be unreasonably optimistic to think that Trump, given a maximum of twelve minutes to make up his mind, would delay a counterstrike long enough to ensure that the information was correct. A nuclear war, however short and brutal, would definitively kill Americans. Trump can kill Americans without ever triggering a nuclear attack on US soil. The President-Elect’s pronouncements on nuclear proliferation are in direct contradiction to the USA’s official push for nuclear disarmament. Trump seems to think that the development of nuclear weapons by Japan, South Korea and Saudi Arabia is a good thing. Nuclear strategists know that proliferation is probably the worst possible outcome for prevention of a nuclear war – smaller nations having access to nuclear weapons raises the possibility of a nuclear engagement that could be regarded as “localised”. Until now, the chief reason nobody has used nuclear weapons is because to do so invites global armageddon. A world in which a nuclear weapon can be seriously considered as a military tactic is a world one step closer to their use, but to think that a nuclear engagement could stay localised may be wishful thinking: wars of any stripe have a long history of escalating. Trump’s aggressive posture towards ISIS and Islamic extremism make Americans a more tempting target for Jihadis and invite further terrorist attacks, both on US soil and wherever American troops may be stationed overseas. Trump’s disdain for NATO reduces the effectiveness of a flawed but necessary deterrent to European wars. And Trump’s America-First approach to military treaties threatens to destabilise regions including Australia’s own region. To form his administration, Trump has assembled a cadre of conspiracy theorists and right-wing media barons, of redneck generals and billionaire businessmen. Notably lacking are cool heads and long experience in the fields of national security or international diplomacy. The Trump presidency has the potential to be one of ongoing global strife, and the man at the helm is not one to act as a force of moderation. Whether or not the nukes start flying, Donald Trump is likely to get Americans killed. So there’s been another boat. Never mind that Peter Dutton, Malcolm Turnbull and Scott Morrison have been insisting for years that “the boats have stopped”, now, during a contested election that’s not all going the Coalition’s way, suddenly the people smugglers have started up again. Bit of a coincidence, that. One might be tempted to suspect that perhaps the boats had not stopped at all. As all knowledge of such matters falls into the Coalition’s “on-water” black hole, there’s no way we would know. Reasonable people may entertain the glimmers of doubt about the information we’re being fed. But the Coalition’s latest announcement is not aimed at reasonable people. On any reasonable metric, the Abbott/Turnbull Coalition government has been an abject failure since 2013. On the domestic issues, whichever your primary priority – economic success, reduction of the deficit, unemployment rate, government spend as share of GDP, real wages, broadband speed, and even general standard of living – every metric has declined since Abbott toppled the Gillard/Rudd government. If you turn your attention to the “moral” issues – those that have no immediate, material impact on the national economy – the Abbott / Turnbull government is similarly unimpressive. From environmental protection, to action on climate change, to refugees and immigration – both in how we “stop the boats”, and in how we treat those who have reached our shores – Australia’s performance over the past three years has dropped from substantial to dismal. So why would people still choose to vote for the Coalition, with this litany of failures behind them? The reason, of course, is that voters do not vote on the basis of performance and record. They’re voting on the basis of promise and expectation. But the promises of the Coalition don’t fare much better than their record of successes. Delving deeply into the government’s budget and forecasts, it’s reasonably fair to say that their entire policy platform rests on a single “innovation” – a $50bn tax cut for businesses. In all other areas, they promise more of the same. More of the ineffective, expensive Direct Action plan – a plan which Liberal true believers still think is efficient, but which most of Australia has recognised as wasteful and well insufficient to the task. More attempts to implement the 2014 budget of cuts to health and education. More attempts to establish a co-payment by stealth, more attacks on Medicare, more invective directed towards those who haven’t been successful in acquiring one of the increasingly sparse jobs in our “exciting” economy. But thank goodness, no more of those juvenile “knights and dames”, so that’s okay. For some, the pertinent measure of a good government is stability. For these voters, the Rudd/Gillard/Rudd years were a debacle to be resolutely punished, and punished the Labor government was. It’s a good thing that the Abbott government is so committed to stability. Sorry, the Turnbull government. At least their policy platform is stable – it has barely changed since the 1950s, and the Coalition parties wouldn’t dream of proposing half-baked policy. So if people aren’t voting on the basis of what the Government has done so far, and they’re not paying attention to what the Government is promising to do should it be returned, why then does Malcolm Turnbull stand a good chance of being reelected in his own right on July 3? The reason is that voters are voting on the basis of a fiction. They’re playing a game of Fantasy Government in their heads and they’re voting for their imagined Good Government. Their vision of governance is informed by the established truths that attach to each of the major parties. For Coalition supporters, this might be the established truth that the Coalition is better at managing the economy and that Labor will put the country further into unsustainable debt. For Labor supporters, it might be that workers’ unions always act in the best interests of its members. Greens supporters cling to the belief that the party is above normal politics, and every action and position is taken on the basis of the best outcomes for the environment and social equality rather than grubby vote-grabbing. All of these established truths are at best open to debate, but to the true believer they are sacrosanct. To someone with an interest in politics and attention to the actual facts and statistics, it can be eye-gouging to watch voters in critical electorates responding to voting intention questionnaires with platitudes about Labor’s debt and the Coalition’s savings. On this site and others, the usual suspects may be relied upon to always populate the comments section with their opinion on any political topic of the day, and their opinions are always the same and undented by being shown proven, empirical evidence that what they’re claiming just isn’t true. It is well known that people seek out and pay credence to evidence and opinion that matches or reinforces their own beliefs. Confirmation Bias is a phenomenon recognised sufficiently to warrant its own term in psychological textbooks. However, it doesn’t work alone. Recent research shows that attempting to debunk a political rumour – or an entrenched belief – may have the contrary outcome of making them stronger. Possibly, this is due to the believer discounting the efforts of the debunker because of perceived bias. Once Fairfax media acquires a reputation as a left-wing outlet, nothing printed in one of its mastheads is likely to change the minds of a conservative voter and may instead reinforce perverse beliefs in the face of published evidence. So it seems that propaganda exists in two phases. The first phase is the implantation of an idea. Think about it in terms of “brain ownership”: once you’ve acquired someone’s loyalty, it’s extremely hard to dislodge. Political strategists know this. There is strength in the approach of lying with impunity, in order to seed a belief in the understanding that it will become a new truth. Tony Abbott’s government was a master at this technique, but really it’s been a modus operandi for conservative politics for decades. Once seeded, repetition is the fertiliser that helps it to flower. Repetition of an idea plays directly into confirmation bias, and every repetition makes it harder for a contrary idea to cut through. Finally, once the idea has been seeded and watered and has taken root in the desired electorate, it is important to discredit all potential sources of contrary information with allegations of bias. This explains why Gillian Triggs has been represented as such a threat. Her empirical report into offshore processing camps had to be discredited, and the best way to do that is to taint the figurehead with allegations of bias. The Coalition succeeded in creating this impression, and from that point on any reference to her report simply reinforces the Coalition’s position of the necessity and tolerability of those camps. This is why a boat has suddenly appeared on our borders for the first time in years. Logically, both things cannot be true: either the boats have stopped, or the people smugglers are still “trying our resolve” and sending the boats. But voters don’t think about it in this manner. The Coalition is having its cake and eating it too. For those who wish to believe the Coalition’s policies have been successful and should continue, the Boats have Stopped. For another part of the electorate, fear of the incoming hordes is the stronger motivator, and the news of a new boat reinforces that fear. Both things do not have to be true; one of these things simply needs to be accepted as true for the Coalition’s stance to be justified. So how can a propaganda-driven New Truth be combatted by those with facts and data on their side? First, it is important to be – and to be perceived to be – impartial. Opponents of the inconvenient facts will attempt to discredit them as biased. If possible, it is best to lead people to discover the facts on their own, rather than simply telling. Contrary to normal argumentative rhetoric, it may be most effective to find out first what sources of information would be regarded as acceptably impartial before presenting any facts at all. A single instance of leading a horse to water may not be enough to make them drink. The second component of re-education is repetition. You can never allow a statement of New Truth to pass unchallenged. Much of the time this is a recipe for frustration: New Truth will regularly be spouted in the media and there is no immediate way to respond to this. But on a one-to-one basis, in daily communication with your friends, family and workmates, a response is possible – and indeed, the only ethical choice. Whether you’re interested in the virtue of truthfulness and data rather than lies and misinformation, or you’re concerned for the future governance of the country, or if you just want to prevent the next generation being implanted with New Truth before they’re old enough to make up their own minds with the evidence, we must respond. We must do so carefully, without reference to the information resources we ourselves find so convincing. But respond we must. Otherwise the New Truth will live on to poison the next election – it’s probably too late for this one. Predicting the future is a no-win scenario. There are so many variables that virtually anything is possible. Futurism inevitably becomes a matter of balancing likely outcomes from current trends, known factors and easily predictable future developments. Any attempt to predict the future will result in either one possible future or a range of possible futures. The one certain thing is that almost all the visions of the future must be wrong, because only one can be right. This article offers one possible timeline for the next few decades, sketching environmental, socioeconomic, technological and military developments. This article considers the future between now and 2050 – well within the lifetimes of many reading this blog today. Consider it a thought experiment, designed to encourage consideration and discussion. This timeline deliberately eschews disruptive events such as global pandemics, nuclear terrorism, asteroid impacts or the eruption of Yellowstone. These developments are possible, even (in the case of pandemic infections) likely, but placing them into a timeline would be entirely arbitrary, and the future may well unfold without them. Similarly, no deus ex machinae are included: there is no recourse to world-saving geoengineering or biotechnology developments. Altogether, what follows is a not unreasonable extrapolation of what the near future might hold for us, our children and our grandchildren. These developments are all sourced in current literature and scientific research and linked directly to supporting evidence and analysis. These are processes that are happening now, and unless human civilisations immediately and radically change course, will continue to their inevitable end. An understanding of these likelihoods is necessary before we can honestly address the challenges of climate change, as the Paris agreements of 2015 recede into our past. In the third world, civil unrest that arose in the early years of the 21st century continues unabated. Over the decades, the US and allies expend profligate effort to viciously subdue Islamic insurgencies in Syria and Iran, but new conflicts spring up more quickly than they can be put down. By 2025 the American people are thoroughly tired of continuing wars and American deaths and the US scales back its involvement, followed by its allies. The Middle East and large parts of the South-East Pacific dissolve into squabbles and conflict, swelling the ranks of refugees from tens of thousands into the low millions. The spark for all of these conflicts is increasing food scarcity and lack of drinkable water. In Europe, the continued and growing influx of migrants contributes to the rise of right-wing political movements and a tightening of borders. In a desperate attempt to preserve the EU as member countries squabble over refugee policy and relative responsibilities, the Common European Asylum System border protection policy is progressively tightened and, slowly, refugee resettlement efforts give way to the establishment of giant refugee camps in barely habitable areas. The misery in these camps puts Australia’s Nauru to shame. In Asia, China is pushing strongly for hegemony in the Pacific and the Arctic and Antarctic. Small chains of islands in the Pacific are claimed by China and forcibly pacified despite opposition. The territorial claims include oil fields and China doesn’t take long to start enforcing its ownership there. Other nations suffer as a result as they lose energy sources, but can’t challenge China. China is taken to international courts for a variety of cases, but while the legal proceedings drag on for years, China doesn’t hesitate to consolidate its hold, building artificial islands and industrial city-complexes as bases for its military forces. At the same time, enormous resources are poured into renewable energy generation. China begins to take a lead in solar and wind technology but does not share this technology easily. Large parts of China are becoming desertified at a rapid rate, with internal displacement of millions of Chinese into more fertile areas. Chinese cities, already congested, become ever more crowded and poor. China responds by commencing construction on new urban centres, completely powered by renewable energy, each built as industrial or research hubs. Drilling for oil by US companies commences in the Arctic. However, China and Russia are also exploring here and not inclined to respect national borders and national territorial claims. This instability leads inevitably to clashes of forces, first between commercial enterprises (and, occasionally, environmental campaigners) and, later, military forces as all sides start patrolling the area with their own navies to protect the operations of their drillers. The distinction between US government and commercial entities begins to blur, to match the situation with both China and Russia. Meanwhile, the effects of climate change continue to accelerate. Tornadoes and freak storms batter coastal cities such as New Orleans, while unprecedented bushfires rage across large parts of the continental US and destroy many consecutive seasons of crops. Food prices, already increasing rapidly, escalate further. In Australia, the narrow election victory of a Labor government in 2016 gives brief hope to many climate observers, but these hopes fade as it becomes clear that the new government, whilst not as outspokenly climate hostile as the Abbott/Turnbull regime it replaced, is still constrained by the narrative created by it and by the general attitudes of a climate-skeptical populace. Policy adjustments to reduce reliance on coal and oil and to increase renewables are slow and tentative, and by 2025 Australia is still heavily coal dependent and still exporting large volumes of coal and LNG. However, as predicted in the early parts of the decade, the demand for coal has decreased markedly as target markets accelerate their move towards renewables as well as their own domestic sources. Accordingly, the export price of coal and gas has fallen significantly, putting increasing pressure on Australia’s economy. The economic downturn causes problems for Labor. The 2024 election sees a return to power of conservatives, but after eight years in the wilderness this new breed of liberals are far truer to the description and bring a raft of climate policies to the table, painting Labor as being “the friend of Big Coal”. By 2025, deep government “transition” subsidies to existing fossil fuel companies are on offer, but this disrupts the burgeoning renewable energy market which has until now been dominated by new entrants and innovators. 2024 sees the start of a process where most renewable energy companies and entrepeneurs will be bought up by BP, Shell, Exxon and others. By 2024, the first generation of university leavers, beneficiaries of Labor’s education investments, are graduating and entering the workforce. It is likely that the first off-Earth colony will be established on Mars. Manned exploration of near-earth asteroids is either planned or commenced. Rising sea levels, declining rainfall and frequent heatwaves are combining to turn vast swathes of South Asia uninhabitable. Asian and African countries are slowly but surely depopulating, both through climate refugee immigration and through deaths to disease, dehydration and starvation. Climate refugees are now an unstoppable tide numbering in the millions, swamping Europe as they arrive daily by the thousands. The EU is attempting to enforce borders with paramilitary forces but the refugees are too desperate and borders too expansive to be successfully patrolled. Europe is now populated by two subgroups: Citizens and non-Citizens. Two parallel economies now exist. The grey economy is populated by and largely serves illegal immigrants. Not being covered by social support or healthcare from European governments, immigrant populations look after their own needs as much as possible, but are treated as second-class citizens. Crime, while still low on a per-capita basis, has exploded and public areas are now constantly patrolled by heavily armed police forces. Populations already strongly influenced by hard-right governing parties, the first pogroms of the 21st century commence in some European countries. In Asia, territorial wars are breaking out. Some are short skirmishes but the whole region is a simmering pot of conflicts. North Korea annexes South; without the US being willing to come to the aid of the South, the North has military superiority. However, within a few years the unified Korea is on the verge of collapse as, rather than benefiting from the economy and technology of the South, the whole of Korea starts to devolve towards its conquerors. By 2050, Korea attempts military expansion elsewhere but fails in its attempt at imperialism, and Korea collapses into a failed state. Japan is now fully self-sufficient, imports no oil and is falling behind economically; however, powered almost entirely by nuclear, the populace is relatively content. 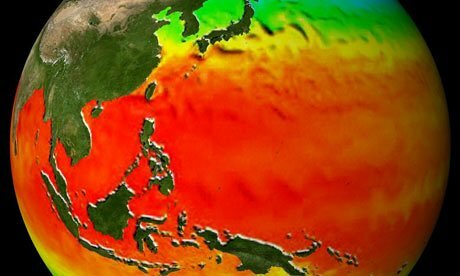 Rising sea levels are a concern for Japanese policymakers and resources are poured into levies and protection efforts. China is aggressively advancing its space exploration program and has a permanent settlement on Mars (and one on the Moon). It is starting to mine asteroids for rare minerals and metals. China’s investment is starting to pay off, with thousands of high-level scientists and engineers living in custom-built technology cities, many completely enclosed in atmospheric domes: technology developed for their Mars colonies is now adapted for use on Earth. Inland desertification is continuing and food production is the country’s biggest ongoing concern. Coal is completely phased out for energy generation. At the same time, laws are passed banning export of fossil fuels. China begins construction of enormous enclosed farms for fish and crops, and continues an aggressive program of purchasing arable land in Australia and other locations. These efforts are now meeting with resistance as other governments see the signs but global courts and national economic systems are slow to react. The global oil crisis plunges America into a deep depression, as the price of oil extraction climbs to make fossil fuels uneconomic. Attempts are made to leverage renewable and distributed power generation, but the process has been too slow and costs are extreme: the transition was not accomplished while energy was cheap. The US reduces its military spending to focus on a new insular approach – gone is the “muscular diplomacy” doctrine, as the government simply can’t afford to continue it and still put the resources into decarbonising the economy. Strong legislation is drafted to recraft the economy, putting caps on corporate and individual profits and ensuring a greater proportion goes to government revenue. Rebates and exceptions are drafted if individuals put significant resources into approved renewable energy projects. Belatedly the US starts subsidising renewable energy generation programs, but the oil crisis puts a significant brake on these efforts. Exacerbating the concerns for America, many of its cities are slowly becoming too hot for habitation. Americans still live in New York and Washington, but the hotter climate is having a measurable impact on productivity. By 2030, China has banned the use of coal for energy generation, closing one of Australia’s major export markets entirely. India is advanced in its push to renewable energy and domestic coal sources, and the majority of Australia’s export coal has no buyer. The price of coal-fired energy in Australia plummets, putting downwards pressure on renewable energy research and take-up; nonetheless, major coal miners go out of business. The Australian economy is in terminal decline with high levels of unemployment nationwide and continual government deficits. New political microparties are in the ascendancy as both Labor and the Liberals suffer from public dissatisfaction, but the microparties do not have the strength or discipline to govern for the country’s future; governance devolves into a multitude of partisan interests, populist policies and pork barrelling. Australia has a brief advantage from an influx of technology students, but with few high-tech companies to employ new graduates and a new conservative government reluctant to fund placements and subsidies, many are forced to seek work overseas. Some parts of Australia are becoming difficult to live in: the vaunted “New North” program is stalling due to high levels of heat stress, regular flooding and low productivity due to high wet-bulb readings. Towards the end of this period, the collapse in farmland, the continued sale to China and others of food-producing territory, and lowering aquifers and water levels are major concerns. Food prices are increasing. Meat, in particular, is becoming too expensive to eat regularly, and most Australians’ diets now include less meat overall. The 2040s see the last of the baby boomers retiring. Government revenue is insufficient to pay for comfortable social security for many, and the ranks of the elderly poor are swelling. Healthcare is also overstretched and death rates among both the young and the elderly are rising. The world after 2050 may appear, to our 2016 eyes, as a dystopia, but this is no fantasy. There are no happy endings in store. The seeds which are planted over the next thirty years – both good and bad – will direct the fate of humanity as the state of the planet Earth continues to deteriorate. By the 2050s, the Amazon rainforest is in irreversible decline. Deforestation by humans, combined with wildfires exacerbated by climate change, have had an irreversible effect. The eventual death of the rainforest is now a certainty, and as the forest itself plays a major role in regulating the planet’s climate, its loss is one further accelerant to climate change. The most immediate outcome is the emergence of major human diseases. As climate change pushes humans and remote insect and mammalian species into direct contact and conflict, new animal-to-human diseases emerge with alarming regularity. Fortunately, most of these diseases are suppressed before they become airborne and cut a swathe through remaining human populations, but each new disease emergency has the potential to kill millions. International flight has been curtailed: a combination of oil shortage and punishing carbon restrictions means that jet fuel is too expensive. There’s nowhere to go, in any case: people now want to escape tropical locations with their daytime temperatures in the 40s, rather than travelling there for holidays. The Great Barrier Reef has been dead for decades, and the annual vacation overseas is now, except for the very wealthy, an indulgence of the past. By the second half of the 21st century, death from starvation is one of the major killers of humans. Large swathes of Asia, Africa and central Europe are becoming quickly depopulated. Deserts are spreading across the United States midwest, and it is likely that at some point in the century, one or more States may secede from the union. By 2100, it seems likely that the United States will be united no longer. Disunity in the former European Union is no less severe. Pressures over resources and land, particularly water, lead to armed conflicts. The European wars of this era are localised and in many cases informal, but they are wars nonetheless. Some smaller countries are either annexed by their neighbours, or left without sufficient water resources to feed their own peoples. Other European countries are dealing with their own civil wars or popular uprisings, ostensibly on grounds of race or nationality, but triggered by food and water shortages caused by climate change. By the late 21st century, capitalism as we know it will have been largely replaced by a kind of socialism. The loss of the oil economy has the effect of making individual prosperity much more difficult, as a large proportion of energy generation comes from state-owned solar and wind farms that dwarf those run by private concerns. Continued and growing pressure from an ever-expanding base of unemployed citizens requires an ever-increasing investment into social security. Governmental caps and curbs on individual profit gradually metamorphise into a socialist structure, and the most prosperous in society receive an increasing proportion of their windfall gains in non-monetary forms. By the time 2100 arrives, it is likely that our planet will be harsh and unforgiving, covered in billowing deserts and rising oceans. Sea levels will continue to rise, unstoppably, for the next three hundred years at least, and by the time this process is over they will be a minimum of six metres higher than now. This will entirely cover the vast majority of current human cities, but sheer physics constrain how quickly this can happen, and human civilisation will have either collapsed or entirely changed by then. If humans survive in this new world, most likely they will exist in artificial environments. These self-contained cities will utilise much of the renewable energy they gather for cooling, for water purification, and for agriculture. We are building a future where we will need to be terraforming our own planet in order to continue to live there. The 20th century saw immense changes in human technology, civilisation and society. The development of mankind is an accelerating trajectory, and the first decades of this century have showed that we’re not slowing down. However, the effects of climate change place severe constraints on the direction of our species for the immediate future. The one thing that can surely be said of the next hundred years is that the world in 2100 will be mostly unrecognisable to what we know today. The predictions made in this article are strongly supported by current trends and analysis, but may easily prove to be conservative. What we do know is that we will see this future coming to pass. This future is nine elections away. What do our politicians do? What, exactly, do our politicians do? Today, Monday 18 April 2016, the Turnbull government took the almost unprecedented step of recalling all of Parliament for a three-week “emergency sitting” to debate and pass – or, hopefully, fail to pass – two specific pieces of legislation. Much has been written about the government’s real motivations behind this recall and debate. With the repeated defeat of the ABCC “productivity” bill, Malcolm Turnbull has his double dissolution trigger. But before the vote, with its commonly expected outcome, the Senate spent a large portion of the day discussing the bill. I had the pleasure of listening to Senator Scott Ludlam’s speech on the subject. Senator Ludlam’s speeches are almost always worth listening to – go on, listen to one or two right now, we’ll wait. 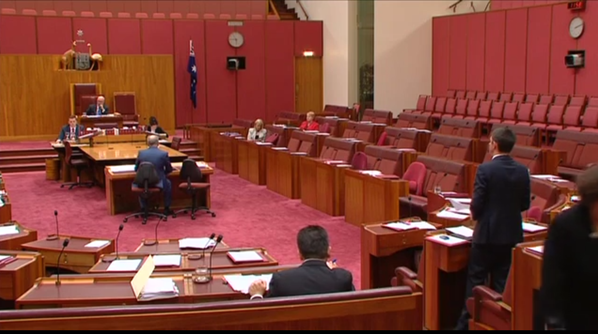 If you just took the opportunity to watch some of Ludlam’s speeches, or have previously done so, beside the clear speaking, reliance on facts and withering irony that he brings to his every contribution, the other notable feature of Scott Ludlam’s speeches is that the chamber is almost invariably almost empty. It would seem fair to assume that on a matter of such national importance that Malcolm Turnbull would spend hundreds of thousands of dollars to bring “nearly 150 MPs and their staff… back to Parliament from around the country”, that said MPs would want to listen with avid attention to the speeches in response. Presumably the job of an MP is to attend sittings of Parliament, engage in the discussions and debate there, and form an opinion on the subject at hand prior to casting their vote. One might make that assumption, but one would evidently be wrong. Any cursory viewing of either Parliament or the Senate will show the real situation – wide swathes of benches, primarily governmental and opposition, clear of occupants. That is, until the bells are rung for a vote. Debates in the Parliament and the Senate, it seems, exist for the sake of posterity and inclusion in Hansard, not to inform the level of understanding of those about to decide on the future of the country. Is it any wonder Question Time so often descends into farce? The stakes are so low, with all – or at least most – MPs already set in their intended vote, that they need to pass the time somehow. The result is a system of government too easily interrupted by process – filibusters, suspensions of standing orders, points of order, and political games such as tying unpalatable bills to legislation of clear national and popular importance, forcing MPs to vote against the good to prevent the bad, or to vote for the bad to achieve the good. So if they’re not spending their time in their seats in the Chamber, what do our politicians do? They don’t write their own articles. They don’t even fact-check, or apparently have very much knowledge about the subject matter of their portfolio. Scott Ryan’s recent snafu with plagiarism is only the most recent of a continual string of egregious failures. Sometimes it seems that if politics were a school class, most Australian politicians would get a failed grade on account of not bothering with even the most rudimentary editing of their copied work. They don’t rely on expert witnesses. Greg Hunt, apparently the closest thing the Coalition has to a climate expert, went no further in his research than to visit a wikipedia page. Relying on Wikipedia would bring a failing grade for a student’s essay; why should we accept it from our elected leaders? They don’t appear to have much knowledge of party processes that fall into their direct remit. Nor do they seem to take an active involvement in running the companies of which they are the directors. Sometimes it appears that politicians spend more time disavowing any knowledge of things happening in their own department than it would have taken to simply be aware in the first place. It helps that they seem to have such fallible memories. Even if they know something now, they almost certainly won’t know it by the time it becomes the subject of an inquiry. This is a peculiarly specific talent that seems unique to our politicians. What our politicians do appear to spend plenty of time doing is sledging. Almost every federal politician in Australia, a refined product of the political system, is well-versed in holding the party line, spouting off talking points and heckling during whatever speeches they don’t manage to avoid being present for. Some might consider these to be lower-order priorities than the activities that might actually lead to better legislation. It’s not as if we don’t pay our politicians enough. Even the most obscure of backbenchers [not] sitting in the pews at the back of the chamber is earning six figures – twice. If you’re reading this, almost certainly every federal politician earns more than you by a number of multiples. It has been said that “if you pay peanuts, you get monkeys”, as if that were a defense of exorbitant parliamentary salaries, but research has shown that the benefits of lifting politicians’ pay start to even out once the level of remuneration reaches a comparative middle class wage. Middle class wage is approximately the average full-time wage, or just under $81,000. Clearly we pay above the curve. Politicians and economists are wont to point out that if you pay less, you won’t attract the people you want into politics, or keep them there. Amanda Vanstone has argued that Australian politicians earn much less than company directors and others in big business. This brings us to the corollary. If you pay peanuts, you get monkeys; if you pay a corporate salary, you get businessmen. Oddly, people rarely seem to question whether businessmen make the best politicians. So, whilst Parliament and the Senate spend the next three weeks in Canberra having already voted down the extremely critical piece of legislation the Government absolutely needed to have passed, just remember they’re earning a bare minimum of $11,483 for their efforts. And keep that number in mind when you see pictures of empty seats. You’re paying for them to not be sitting there. There is no need to spend more than a very few words on this post. For the first time in recorded history, probably the first time since our species’ primitive ancestors crawled out of the sea, we have reached the point of two degrees above normal. Two degrees above pre-industrial levels. Think about that for a moment. That’s the figure that the world’s scientists and politicians have agreed marks the advent of dangerous climate change. It’s the figure that has been the de-facto goal of global efforts to avoid, ever since the Kyoto agreement in 1997 and agreed and reinforced innumerable times since. Two degrees is the figure the world has come to view as the mark of success or failure of our efforts to halt climate change. It’s half a degree above the goal agreed at the recent Paris accords. Two degrees is probably enough to trigger tipping points, starting a chain of unstoppable changes that will irrevocably, radically and rapidly change the planet we live on to something unrecognisable. We have just reached two degrees of warming, and we show no signs of even making progress towards reversing the trend. The two degrees figure incorporates the effects of a powerful El Nino effect in record heat for February, the hottest month ever recorded. It is possible that heat readings for March may be less terrifyingly extreme than February. Perhaps we’re not yet permanently two degrees above normal. Regardless, the trend is undeniable. Climate change continues. Climate change is accelerating. Mankind is making no real effort to stop it. We will not survive this. If this milestone does not spur governments to action, likely nothing ever will. It doesn’t get any more stark than that. We have failed, we are failing, we will fail. Over the past eight years, Australians have joined the rest of the world in being entertained and amused by the absurdities of American politics. Some amongst us thought Sarah Palin represented the nadir of democratic politicians worldwide, and the pinnacle of politics as satire. We were so wrong. It appears that politics can become far more absurd than the gun-totin’ moose-slaying soccer mom. First we had the rise, froth and tumultuous fall of Tony Abbott. And now we have Donald Trump. For months we have watched in horrified fascination as The Donald utters a never-ending stream of non-sequiturs and racist jibes and calls them politics. We watch and wait for the inevitable fall and await the rise of a more reasonable contender – a presidential candidate capable, perhaps, of being Presidential. And still we wait, while Donald Trump rides high through every poll and, after a few shaky first steps, each Republican primary. In short, it now seems relatively likely that Donald Trump will be the Republican party’s contender for the US election at the end of this year. How could it have come to this? And, more importantly, what does the rise of Donald Trump mean for America, for the world, and for Australia? It’s worth thinking about these matters now as Trump’s unstoppable momentum becomes clearer. From the very beginning, Trump has been written off consistently by most political pundits and media outlets. Like us, the electoral sages wait for the awakening, the moment when the public wises up to the character of the man. Calculations are made about Trump’s lack of support from his own party, about the consistent polls which have his “would never vote for him” rating higher than any other politician in history, and about the likelihood of a collapse in Trump’s support once he loses a Primary or two. Despite these predictions and analyses, Trump is still on course to securing the nomination. Every primary sees his lead bolstered. According to Trump’s own rhetoric, he is a “winner”, and in the American system, success breeds success. As his competitors in a broad field fall away, Trump’s own support just increases. It is difficult to see a situation now where Trump does not pull together the popular electoral support to secure the nomination, against the wishes of his own party’s leadership. Trump’s stump speech of being politics’ answer to Kanye West – a winner, who beat the Chinese and can do it again, who made a fortune and can turn those skills towards making America great again – speaks to the heart of American self-identity. Americans truly believe that theirs is the world’s pre-eminent culture and the civilisation before which all others must bow. The psychological dissonance caused by needing to rationalise both this treasured, deeply-held belief, and the reality of the world around them – with high unemployment, declining industry, poor healthcare and literacy and constant crime and violence – leads a great many Americans to anger and a suspicion that, somewhere, corruption and betrayal are at fault. Donald Trump speaks directly to that anger. Trump’s entire political existence has revolved around manufacturing anger at the political elite. From his invention and support of the “Truther” movement, claiming betrayal and treason on a grand scale by Barak Obama, to his frothing pronouncements of Mexicans as thieves and rapists, his perorations towards Chinese encroachment on American jobs and industry, and his decrying of the “fat cats” in boardrooms and in Washington, Trump’s world is one where the good people of America have been governed by credulous fools, sold out by Wall Street and global trade organisations, and manipulated by corruption on a grand scale. We see this kind of anger bubbling away across the western world. There are many contributing factors, but two in particular deserve mention. Primarily across Europe, but also a factor in Australia, there is fear and resentment of the tide of refugees. Right-wing politicians play directly to the prejudices of the electorate, blowing the size and resultant risks of refugee resettlement out of all proportion. A few thousand refugees in Australia become an existential threat. In Europe, the tens of thousands arriving annually are perhaps more justifiably a concern, but they still pale into insignificance next to existing populations. Regardless, some voters are scared that refugees are bringing with them disease and radicalism and an impenetrable culture, and stealing their jobs and welfare. The other major cause of voter disaffection is the rise of inequality. Across most of the capitalist world, the gap between the haves and the have-nots continually grows. Unconstrained capitalism rewards the elite, suppresses the downtrodden, and thins out the middle class at the same time as it convinces them that they are poorly-off. For the majority of battlers, it is easier to blame corrupt politicians, greedy bankers and faceless international trade barons for their misfortunes, than to accept that their societal structures rely on there existing a pauper class. Politicians – always from the elite – are all too happy to shake a finger at the upper class and pretend to be on the side of the masses. Just as long as that will buy their vote. Donald Trump claims that his tax policies will hit the rich and improve the lot of the poor. Independent analysis shows that they would have the opposite effect, and likely bankrupt the country in the process. Hillary Clinton, Trump’s most likely opponent from the Democrats, is the consummate product of the political elite that is the target of the people’s rage. If Trump secures the nomination and goes up against Clinton, the conflict will not be between persons: it will be between the old guard and The Rest of Us. This is ironic, because Trump has never been part of The Rest of Us and bears little but contempt for them, but anger is a powerful blindfold. In that kind of general election, the consensus is that Trump will be the hands-down winner. Who still stands against Trump? If Trump is able to win the Republican nomination, he still needs to face a general election. General elections are a much different proposition than the primary race. In America, with voluntary voting, there are far fewer swinging voters than in Australia, where everyone must choose a side. The Republican powers that be fear, with some reason, that come polling day, many bolted-on Republican voters may just not vote. They won’t turn out for Hillary Clinton, but may not be comfortable enough to vote for Trump either. On the other hand, fear of a Trump presidency may be enough to ensure a high turnout of Democrats in support of Clinton (or Bernie Sanders, should he be the Democrat contender). What this doesn’t take into account is the possibility of Trump earning votes from centrist Democrats, and from non-aligned new voters. Trump’s few stated policies borrow liberally from both Republican and Democrat playbooks, and he’s non-establishment enough to have some polled support amongst Democrat voters – whose opinions play no role in the Republican primaries. If controversies over Hillary Clinton’s candidacy – such as the unresolved issue of her use of a personal email address to do State business – cause her support to wane, some of those votes may fall to Trump. In any case, Trump’s chief appeal is not to the rusted-on base. He has wide support amongst swathes of the general population who may never have voted, and who also are not represented in the Primaries. If he can persuade them to attend voting booths in November, this could prove a deciding factor. A wild card has also presented itself, in the form of the death of Supreme Court judge, Antonin Scalia. In the US, the appointment of a Supreme Court judge is a big deal – arguably more important than the general election itself. With one open position on the court bench, suddenly the 2016 election has turned into a contest for the future of law in the country in a way that Congress is not. How this plays out is anyone’s guess, but it again raises the stakes of this election and may work in Trump’s favour – or against him. After her thumping win in South Carolina, Hillary Clinton is by far the most likely Democrat nominee. Unfortunately for Democrats, polls are not favourable for her. Clinton is a product of the same political elite that Trump has gained such momentum criticising. Her rhetoric is civilised, even warm, as opposed to the bombastic threats and insults of Trump. Her speeches might play well amongst the Democratic donor class, but can they sway the electorate? Many analysts think not. The general consensus – admittedly, still a long way out from the election – is that Trump would soundly beat Clinton for the Presidency. If Bernie Sanders were to pull off a surprise victory and become nominee, would he do any better? Perhaps not. Sanders is a self-described “socialist”, which is still a pejorative term for many Americans. Sanders may well prove to be too progressive for Americans. As some have said, Americans will never elect someone who calls himself a socialist. This may not be eternally true – but it is likely true in 2016. 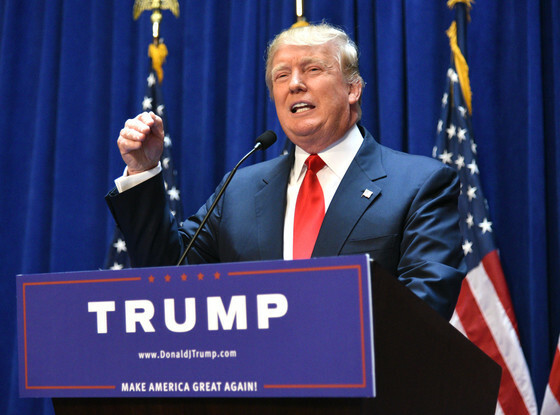 What would a Trump presidency look like? So it is starting to look likely that Donald Trump will be the next American president. As with any fact-light political candidate for high office, it can be difficult to identify exactly what the policy positions of his Presidency would be, but we can make some educated guesses as to the kind of leader he would be and the choices he would make. None of it is pretty. It seems inevitable that a Trump presidency would be defined by goals not met. Trump appears to have a highly individual view of the role of Commander-in-Chief, a role that he seems to expect has sole and unfettered executive power. As more than one President has found before him, this is very far from the truth. Many of the things Trump most wants to achieve cannot be done without the support of Congress, and on his road to power Trump is eagerly offending members of Congress on both sides of the aisle. It was a given that President Trump would receive little support in Congress from the Democrats, but on his present form, he will also find Republicans hard to rally to his side. That is not to say that Trump will have no power at all. As Barak Obama has shown, in the face of a hostile Congress, there are a wide range of executive powers that are available to the President. Particularly in the fields of national security and international diplomacy, Trump will have some power to make unilateral decisions. Even where he has no real power, the President is a figurehead and a head of state. Trump has shown no hesitation in insulting and annoying heads of other States where it suits his electoral needs, and if Trump is not reined in by his advisors, he may well set America on a path to greater isolation. Bureaucrats in his administration are due for a torrid time of mending bridges. There will be limits to the extent of the damage Trump can inflict even at his most perverse. Diplomats will continually point out to him that actions have repercussions, and forswearing some treaties for the sake of political capital may have implications for other treaties that work to America’s favour. As President, he will find himself constrained by the powerful military lobby and his Defense chiefs. He is unlikely to start any shooting wars on his own behalf – but he may well be more susceptible than Barak Obama to being baited into one. It is perhaps some small consolation that most of Trump’s big-ticket policies will be impossible for him to implement. His idea for a Great Wall of Mexico will certainly not be paid for by Mexicans, which may give him an excuse not to build it with American dollars. His tax plan, according to all analyses, is nonsensical and unimplementable. There is no budget for his plan to forcibly deport all illegal immigrants from the country, and to do so would drive a spike into the heart of the American economy. And it is certain that Trump’s promised register of Muslims, were it even possible to implement, is entirely unconstitutional. Even the President can’t get around that. President Trump could be disastrous for environmental policy in the US, and thus for the world. Trump is an avowed climate skeptic. A Trump presidency could see most of the gains made by Barak Obama overturned at the stroke of a pen. At the very least, America’s commitment to the Paris agreement would not be matched by its actions: Trump’s first budget would see to that. Finally, a more isolationist America, at the hands of a President who feels that the US already spends too much holding up its end of military treaties, could have major ramifications for defense policy in Australia. Trump has little interest in protecting other countries’ interests. Trump is an opponent of the treaties that bind the US to come to the aid of allies in Europe and Asia. A Trump presidency might seriously undermine Australia’s own defense policy, which relies strongly on the strength of the US as a deterrent. Many of Trump’s promises and policies are either impossible to deliver or are designed to sound good but never be implemented. His tax plan would reduce US government revenue by $9.5T over a decade and require “significant new borrowing or unprecedented spending cuts beyond anything Mr. Trump has detailed in his campaign”. According to Trump’s policy platform, “The Trump tax cuts are fully paid for by: Reducing or eliminating most deductions and loopholes available to the very rich…” However, the scarce details released fall far short of this, and analysis shows that the tax plan would actually benefit the rich at the expense of the poor. To Australians, a politician promising an economic plan to help the poor that actually ends up hurting them might sound familiar. Other Trump promises will cost billions. “Immediately and fully enforcing current immigration law, as Trump has suggested, would cost the federal government from $400 billion to $600 billion.” The labour force would be decimated. Trump’s plans are a recipe for an immediate, long-lasting and devastating collapsed economy. There is no way he could get away with implementing them, even caring as little about the establishment as he does. Trump’s policy platform is a magic pudding: reducing taxes for all, spending more on the military and big-ticket policy promises, whilst making no cuts to social services. Once again, Australians have seen this pattern before, and are witnessing its apotheosis in the Turnbull government’s inability to chart a popularly acceptable way forward. Trump is a bully. He is not above making sexist remarks when talking about his opponents – including other Republican contenders. He makes a virtue of playing the man, blithely insulting his opponents on the basis of race, gender, appearance, health and, in one notable instance, on the basis of having been captured by the Viet Cong. Like a recent Australian leader, the most outrageous bullying behaviour earns him dividends that more than outweigh the disapproval they cause. Donald Trump is another Tony Abbott in the making. Trump is making grandiose promises to a desperate electorate, playing to people’s basest instincts and sowing fear and division, but has no way to implement the promises made. One wonders what Malcolm Turnbull thinks of Trump’s rise. In Turnbull’s case, the promises to the electorate were not so much on-camera statements of things he will not do – such as the promises Tony Abbott blithely betrayed soon thereafter. Rather, Turnbull’s promises are about things he will do, but which his backbench has now forced him to remove from the table: a GST rise, changes to capital gains or negative gearing or superannuation. In the end, politicians who ride to power on the strength of grandiose promises find they cannot fulfil those commitments and have to turn their attention to apologising to the electorate as to why they did not. Trump is not a man to apologise. If it cannot be avoided, then it is best to consider some of the silver linings that a Trump presidency might bring. The truth is, the world needs Donald Trump, or somebody like him. It appears that we learn only from example, so here are some of the things we could learn. Progressives need Donald Trump. They need him to demonstrate exactly how powerful anti-establishment feeling is, and how easy it is to underestimate fringe/extreme candidates. If a country like America can elect a racist, sexist, elitist bully, then it can happen anywhere. This will be a salutary lesson. Australian politics is very different to America’s; we can’t have an establishment outsider shaking things up like The Donald because our party political systems won’t let them. But the rise of Tony Abbott shows us how political parties can be shaped by extreme candidates and this can lead to perverse victories. Tony Abbott, as terrifying as this might sound, is not by any means the worst that could happen. Conservatives need Donald Trump. They need him to demonstrate how bad things could get if they allow extreme candidates to rule the roost. A failing Trump presidency could have the effect of pushing Australian politics back towards the middle. It is easy for progressives to belittle the Coalition as a collection of ideological zealots, but very few in the ranks of the Coalition are stupid. Recent years have seen the Liberal and National parties embroiled in a conflict between hard-liners and moderates, and Turnbull’s constant capitulation to his back-bench indicates that the hard-liners are winning. The moderates desperately need the ammunition a Trump presidency could give them. The political debate needs Donald Trump. We all need him, because his is the logical extension of conservative ideology. “…the party’s economic platform — cut taxes for the wealthiest and everything will somehow work out — long ago lost its purchase on public opinion.” Trump strips away a lot of the confusing rhetoric and claims such an extreme position that when his policies fail – and fail they must – progressive parties around the world will have no end of ammunition against that worldview when it appears. The anger in the electorate is real, in America, in Europe and here in Australia. Partly it is a response to the formation of the political class, the concentration of power in a group of people born for it, groomed for it, and privileged above the average couch-dweller. (Even in the progressive left, politicians are born, not made – with the exception of the few superstars of rock music and literature whose names are enough to carry them.) But the anger is deeper than just a distrust of political dynasties. Donald Trump is the living embodiment of truth-free electioneering. If Sarah Palin and Tony Abbott, Mary Le Pen and Geert Wilders have shown us anything, it is this: this brand of populist, fact-deprived anger-mongering must have its day. We need President Trump, because hopefully after him it will be a long time before another like him arises. So it seems that Bill Shorten will be taking a proposal for a 50% renewable target by 2030 to Labor’s national conference in Melbourne this weekend. Accordingly, climate change is shaping up to be a major battleground for the next election – probably much to Abbott’s chagrin. On this argument, the Coalition starts from behind. Tony Abbott would prefer the discussion to be neutralised and as a result the government is stepping up the rhetoric to attack Labor’s history and position on the climate change front. As a result, the laughably-named Minister for the Environment, Greg Hunt, has been working the airwaves furiously to poison the national consciousness. Shorten’s laudable goal, as those who have been watching the development of renewable energy and its increasing prevalence in the energy mix of countries and even Australian States will know, is technically not difficult. Labor describes the proposal as “ambitious”, but the main challenge with achieving this is political. The primary difficulty is that the Australian people are skeptical about the ability of renewable energy to be a practical, economical choice for energy generation, and consecutive conservative governments have sought to play up on that uncertainty at the behest of their backers and overlords, the existing fossil fuel oligarchies. The Australian people have been lied to from the outset. They’re still being lied to now. Greg Hunt has been given saturation coverage on news media outlets, parroting the Government’s official response to the reports of this labor policy proposal. The detail of Hunt’s interviews and discussions has varied slightly from broadcast to broadcast, but the salient points remain the same. Unfortunately but predictably, the Government’s official stance – and thus Hunt’s answers – is a farrago of lies and mistruths that often pass without challenge. The ABC is not immune to this mistreatment: in several ABC news interviews Hunt has made the same baldfaced statements without being challenged. The ABC can’t be blamed for this. In an already fraught environment with the national broadcaster under continual threat, challenge and attack by our government, it is vital for the ABC to retain an appearance of impartiality for its news arm. Rather, the problem is with our laws and systems that contain absolutely no penalty for a Government Minister to lie to a reporter, and to lie to the Australian people, so long as they can get away with it. A Minister can lie with impunity – as long as their lie goes unchallenged. This is a problem, as we head into an election year in 2016. Standard practice in news reporting is to describe the news item of the day, interview appropriate persons involved with the policy or proposal or scandal, and drill into the detail to as shallow or deep an extent as time allows. Then, in the interest of “balance”, journalism will often seek a response from the other side. In politics, this brings us to a situation where the Coalition, with the benefit of incumbency, can coast with few policy announcements, leaving Labor few opportunities to respond. Labor’s situation is more challenging. Winning back government from opposition is difficult and requires a constant stream of policy announcements. When the last word in a news report comes from a Coalition minister in response, far too often the sound bite the audience will remember is the government’s position. If that position is in error, the voters have been misled. A news reporter is not in a position to challenge a statement made. That comes down to us – the concerned public. It is incumbent on us to be informed, and to inform others who might otherwise be taken in by the lies. Because the Coalition adheres to the concept that repeating a lie often enough will convince people to take it as truth, their talking points in response to Labor’s proposed policy are consistent and we will hear them trotted out regularly over the coming weeks. Each one of them is demonstrably untrue and the best response progressives can make is to have ready clear, concise explanations as to why each Coalition argument is based on a falsehood. With that in mind, what follows is a precis of the Coalition’s talking points on Labor’s proposed renewable energy target and ETS. The centrepiece of the policy will be a new carbon tax. “Carbon tax – they’ll call it an emissions trading scheme, but it’s the same thing, with the same effect, the same hit on electricity prices…” In a recent interview, asked several times for clarification, Hunt fell back on the government’s agreed attack line: that an ETS is just a carbon tax by another name. This was not true the first time around and it is certainly not true now. The reason why is very simple. Under a carbon tax, every emitter pays for their emissions. Every tonne of carbon carries a cost. The incentive is obvious for the business to reduce its carbon emissions and pay less tax. All taxes raised go to the government, for use in whatever way it deems appropriate. The government may choose to return some of the taxes to companies in the form of incentives and subsidies, but to do so is to devalue the impact of the tax. Over time, unless you force changes to the tax rates through parliament, the price of carbon remains the same. In contrast, under an ETS, businesses are permitted to release carbon emissions up to a cap, without any cost to them. If a business holds sufficient carbon permits, it can emit as much carbon as it likes with no financial cost at all. If it emits less carbon than it holds permits for, it can trade the excess permits on the market, allowing other businesses more latitude to emit carbon. This brings you to the question of how the business gets the permits in the first place. Under the Gillard government’s ETS, initial permits were allocated for free to relevant industries to shield them from the immediate impact. Other organisations were forced to purchase initial permits. Over time, under an ETS, the number of permits available is regulated to decrease, providing incentive to companies to reduce their carbon emissions over time: as time goes on, carbon permits become more expensive, increasing the benefit to the company if it can trade its excess permits on the market, and increasing the cost of permits if it does not. Due to compromises with the Greens required to get the legislation through a hostile senate, the price of permits was set for an initial three year period and the permits were not eligible to be traded, thus making the scheme’s initital appearance close enough to a “tax” to make it unworth arguing the semantics of “tax” and “ETS”. This led, in short order, to Labor being lambasted as a high-taxing regime (ironic, coming from the party which would soon implement a much more oppressive tax regime) and Julia Gillard as a liar. Labor has learned its lesson on this front. It is fair to assume its new ETS will not commence with a set price and untradeable permits. For the government to claim that Labor’s new ETS will be “exactly the same” as a carbon tax is misrepresentation of the highest order. The ETS will be a different thing, with a very different effect, working in a very different way. Greg Hunt knows this very well. This is the same Greg Hunt who won an award for co-authoring a thesis about implementing an ETS in Australia. Until recently some on the left held a grudging respect for Mr Hunt, being forced to toe the party line against his own documented beliefs, and pity, for being one of the few realists in a cabinet laced with flat-earthers. His recent performances have shown that he is a thorough convert to the Coalition’s paradigm that somehow a market-based scheme is far inferior to direct governmental intervention. As a result, his respect has died, leaving him only with pity. 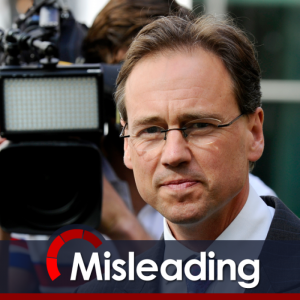 Regardless of his personal beliefs, however, Greg Hunt knows very well that an ETS is not remotely similar to a carbon tax, and to claim that it is is to deliberately mislead Australian voters. The talking point that a renewable energy puts upwards pressure on power prices seems an article of faith for the Coalition. This also is demonstrably untrue. ETS or carbon tax aside, all experience in Australia to date disproves the idea that renewable energy competition can push the price of electricity up. All models and analysis, including the government’s own modelling, show clearly that renewable energy puts competition and downwards pressure on energy prices. The only group that this hurts is the big energy generators and distributors, who coincidentally are big benefactors of the Coalition. An ETS did have the expected outcome of pushing up power prices from carbon-heavy power generators. Gillard’s government allowed for this and overcompensated consumers for the expected price increases. The one thing likely to place significant upwards pressure on energy prices is the effect of Queensland’s previous, liberal government opening its gas markets to export. The result is that gas, one of the major energy sources for much of Australia’s eastern seaboard, will now be traded at the significantly higher international price rather than the domestic one. Perhaps the most egregious lie of all is the continued insistence by the Government and Greg Hunt as their mouthpiece that the carbon tax was ineffective. It has been claimed that during the carbon price, emissions continued to increase. This is true. What is wilfully ignored in that discussion is that, under the influence of the carbon price, emissions rose less than they would have otherwise done. In fact, the carbon price was restricted to a relatively small part of Australia’s economy. In sectors where the carbon price applied, carbon emissions decreased markedly. (And, unsurprisingly, upon the repeal of the carbon price, carbon emissions in these sectors immediately increased again). Hunt has argued that Australia’s carbon emissions were already falling prior to the introduction of the carbon price and that the ETS had little effect. This also is untrue. In short, the government’s overblown claims about the carbon tax are almost universally deliberately misleading or even entirely untrue. The carbon price, even at a high price per tonne and acting like a tax, had little effect on the overall economy, destroyed no country towns, and was being remarkably successful at reducing Australia’s emissions. A new ETS could do the same again. Greg Hunt foamed that the parliament had “…just voted for stability in the renewable energy sector…”, referring to the recent passing through the parliament of a reduced renewable energy target for Australia. This criticism popped its head up but has now subsided; perhaps the Coalition has decided that talking about “the politics” is a little too fraught to be a certain winner. In any case, the fact that Labor reluctantly supported the government’s cut of the renewable energy target to 33,000 GW does not mean that Labor is inconsistent. Labor was able to forge a compromise position for the sake of settling the argument in the short term and giving certainty to the existing renewable energy market, but it was clear that this figure was not Labor’s preference. Frankly, it seems amazing that Labor was able to secure any kind of a compromise from this government, after more than a year of the government steadfastly refusing to budge from its original position. As this government has shown, any policy agreed to under one government is not sacrosanct to the next. Armed with the facts, it becomes easier to counter the government’s wilful misinformation. Not easy, of course: there are none so blind as those who will not see, and for many in the Australian public the prevailing narrative being told by the government is emotionally compelling. But there are some who may be persuaded by actual facts and evidence. It is for these people that we must be prepared to call it out when we see the government deliberately distorting history and building straw men on Labor’s commitments. We must be able to point out that they have been lied to, and they are still being lied to. “Human-induced climate change is real. The risks of inaction are real and mounting.” So Fairfax editorialised in this week’s papers. The gist of the article is that we still have time to mobilise and get our governments and policymakers to take real action on stymieing climate change. It is probably true, as the article claims, that we are witnessing a slowly dawning awareness of the Australian people and by the global economy. But by some measures, this is significantly too little – and way too late. “Two degrees celsius.” How many times have you heard the “two degrees” target proposed as the benchmark? Almost every popular media outlet, when writing about climate change (when they’re not claiming it isn’t happening or isn’t worth our attention) includes a statement like “We can still keep warming below two degrees, but we have to start now.” So we talk about carbon budgets. We talk about carbon capture and storage. We argue about the merits of a cap-and-trade system, an incentives system, a carbon tax – as if we still have time to compromise, time to experiment and find the ideal balance between maintaining our treasured social systems and the rescue of the global environment. The current climate change narrative is based on a series of mistruths and falsities. We are told that we still have time to turn the ship around. The truth is that we do not. We are told that two degrees is a hard and fast target, beyond which everything turns to disaster and before which we will be okay, if slightly uncomfortable. The truth is that there is no safe limit, that two degrees is not a magic number, and that two degrees is likely already beyond our prevention. The truth is that we have already emitted more than enough carbon to take us to two degrees and well beyond, and we’re showing no signs of slowing. We are told that even if we go beyond two degrees, the disruption that results will come in the form of hurricanes and bushfires and rising tides. The truth is that while increased frequency and severity of hurricanes and bushfires will be a part of the outcomes of climate change, this is the merest tip of the iceberg. These visible disasters can be constrained and understood as freak occurrences that interrupt the status quo and from which we can recover. Less so is the permanent loss of arable land, the global starvation that may result, and potentially the tipping of our environment into a hellish morass incapable of supporting human life. That we are now seeing reputable sources raising the spectre of near-term human extinction in public narratives is telling of both how far the public discourse has gone ahead of public policy, and of the potential import of the fact that we’ve been so slow to act. Whilst we have seen that the public and the media are far more accepting of the urgency of action on climate change than any of our leaders are willing to countenance, the public narrative is nevertheless generally years behind the science. Science has been telling us for the better part of a decade that two degrees is both insufficient and unattainable. Meanwhile the news media, and through them the general public, have been absorbed by the question of the reality of climate change, a question that climate researchers put to bed decades ago. Only in the last few months have we started to see the global narrative start to catch up to reality, which is at the same time optimistic and disheartening. The truth that the media are slowly coming to understand is that two degrees might be possible, but not in the world that we know and live in now. As the media have finally started to catch on that yes, climate change is happening; yes, climate change is deadly serious; and no, we have not acted as quickly and as desperately as required; it begs the question. What is the current state of scientific understanding and how long will it take for the world to catch up to that? There are reasons for the lag in public understanding. In years to come the placing of blame might become a hobby, but while attributing responsibility to various groups and individuals is easy, it is also simplistic. The long answer is that our inaction on climate change has been driven by the systems within which we work and live. These systems are well designed to order society and to offer freedom and opportunity to some. They are not effective, however, at providing for philanthropy. Our current systems of democracy and capitalism reward selfishness and self-interest and they pander to our genetic weaknesses. And the unstoppable forces of consumerism encourage and reward immediate gratification not only as a personal pleasure but a social good. The system requires us to buy and consume in order to sustain the order of things. More fundamentally, we need to buy and consume in order to feel good, and we are rewarded by a sense of accomplishment, we are rewarded by social approval and we are rewarded by endorphins. The same psychological tendencies that cause us to become fat and unfit also put barriers in our way to accepting bad news. Bad news is a climate scientist’s stock in trade. Scientists are conservative by nature – they have to be. Crying wolf leads to a loss of respect and credence, and inevitably to a loss of funding. For a scientist or scientific organisation to decry an oncoming disaster, a high level of proof is required, and this takes time. The rumbling on the tracks isn’t enough: they need to be able to see the oncoming train’s lights before they’re willing to commit. Scientists are not to blame for their reticence. One of the most constant criticisms of the IPCC’s work is not that the work is flawed, but that the resulting reports are universally conservative. They err on the side of caution. 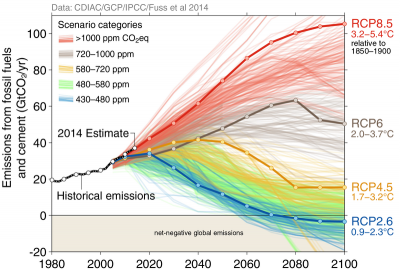 IPCC reports contain a range of projections, using a selection of different assumptions and resulting in very different outcomes, but they do not advise on the relative likelihood of being able to meet these curves. The effect is to allow policymakers to treat each projection as equally possible, and when one or more of the scenarios results in a temperature rise under two degrees, the opportunity arises to claim that this is still in reach. Scientists would say that the contents of the reports are reliable as a best-case scenarios, but that’s not how the reports are received in practice. The policy makers who must take IPCC reports into account largely consider them to be worst-case scenarios, and the urgency of the problem is diminished. Tempting as it may be to do so, politicians also cannot be blamed for their inaction. Politicians are rewarded (in electoral popularity) for populist messages of hope and optimism. Politicians are punished, severely, for being the messenger that tells their people that they will have to make sacrifices (financial, creature comforts, lifestyle changes) for the sake of the public good. Far worse awaits those who attempt to impose these sacrifices. It is entirely reasonable to expect politicians to clutch at any straws offered, be they a possible solution that doesn’t carry electoral cost (e.g. direct action) or a skerrick of doubt about the science. In an environment filled with lobbyists arguing that there will be consequences to climate action, and think tanks and vested interests obscuring the science with manufactured doubt, motivated by a kind of economics that cannot afford to take climate change into account, it takes a special kind of political courage to take a stand. As we saw in the case of the 2013 election, all too often The People will punish such presumption. We can’t even blame The People. The truth is that our evolution has not equipped us well to handle the kind of challenge that climate change presents. Humans are an immensely adaptable species, and when we cannot adjust our environment to suit our needs, we can adjust our own lifestyle to suit. However, we almost always need to be spurred into action. We evolved from hunter-gatherers who would gorge in the good times, in preparation for the long stretch of privation that would follow. At our core, we’re not prepared to leave the carcass on the ground. However it happens, whatever the cause, we are caught by it. Humanity is having a cook-out in a tunnel and we’ve ignored the rumblings underfoot for too long. It’s not until we see the lights of the oncoming train that we even start the engine of our getaway car and there’s no way we’re dodging this express train. We read that we have, at most ten or fifteen years to turn the ship around. Here’s the thing, though: they told us this ten or fifteen years ago, too. If the problem was that urgent then, if the need for change was so pressing then, how can we still have a decade left to act now? The explanation is that the definition of “action” is changing. Climate scientists, pressured to give an optimistic outcome – to avoid calling “Game Over” – move the goalposts. They adopt increasingly unrealistic assumptions and expectations in their models of climate action. They invent ever more fanciful future technologies – magic bullets, couched in scientific-sounding terminology. It is finally reaching the point where normal people – journalists, activists, even politicians – are calling them out on it. 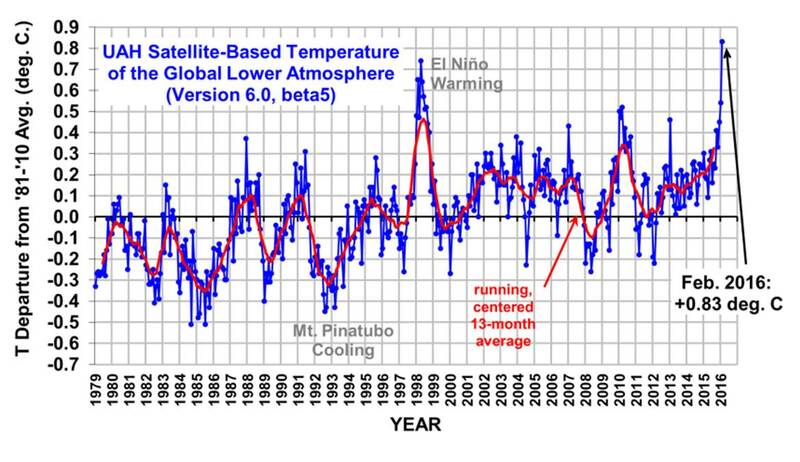 The likelihood of us being able to meet a trajectory to keep temperature increases below two degrees is presently somewhere between none and laughable. But so long as it is still technically possible to succeed at halting global warming, we keep hearing the “we still have time” message. So let’s have a look at what is actually required to stave off the kind of climate change that runs an even risk of killing every human on the planet. In order to achieve the goal, humanity as a species must put aside national partisanship, untrammelled economic growth as a priority, and our current industrial machinery. Advanced economies must immediately and radically decarbonise their economies, at the same time as effectively building first-world economies in less advanced nations who would otherwise strive to catch up to “modern” standards of living via their own industrial revolutions. Humans in the affluent West must accept a curtailing of their profligate lifestyles and their aspirations. Some have likened the effort required to the mobilization of the West in the early days of World War II, when entire economies were retooled to face an existential threat. But these similes were raised half a decade ago, and the problem has become even more dire since then. We must, as a species, put the good of the planet and the environment ahead of our own short-term interests. This is something that goes against our very nature. But even our best intentions are not enough. At this point, there is enough carbon in the atmosphere to blow through two degrees and well beyond – potentially setting off the feedback loops and tipping points that bring us to a very final The End. In order to limit temperature rise to two degrees, current models include assumptions about negative carbon emissions – capturing carbon from the atmosphere and putting it into the ground or into trees. This requires either huge swathes of territory to be converted to forests – and only good, arable, important-for-feeding-seven-billion-humans land will do – or the widespread adoption of technology that doesn’t even exist yet. Is it time yet to call game over? There are a number of good reasons to declare “Game Over” on climate change. Because there is a point beyond which hope becomes denial. We see an example with Australian farmers in northern Queensland. Devastated by crippling floods in early 2013, it did not take long before large portions of Queensland were back in the Long Dry. By March 2014, the State’s largest ever drought had been declared, following the failure of the “wet season”. Drought is a largely artificial definition, designed primarily to enable governments to provide assistance to affected areas, predicated on the understanding that this is a “natural disaster” and will come to an end. The terminology of “drought”, at core, assumes that there is a normal state of being, and the lack of rain is an exception, an aberration, on par with storms or cyclones. More than a year later, the rains have failed again and the drought has not broken – it has become worse. All this in advance of a predicted severe El Nino. The signs are not looking good for relief for our beleaguered Queensland farmers any time soon. And still we hear politicians State and Federal talking about drought assistance, of getting the farmers through the hard patch before the rains return. According to my calculations, most of Queensland has been officially in drought for fifteen of the last twenty-five years. An El Nino can run for up to seven years, so we may be in for a significant period before the end of this cycle. If you’re living under drought conditions for more years than under wet conditions, can it really be called a drought any longer? At what point do we bow to the inevitable and admit that, rather than being a drought, this is the new normal? That climate change has made these areas untenable for ongoing agriculture? That continuing to support farmers with “drought assistance” is a never-ending battle that cannot be won? Admitting defeat would mean the departure of farmers from these lands and force an alteration to the economy and markets of the State. It could be argued that reclassifying land as non-arable will destroy the lives of farmers trying to eke out a living on it, but it could as well be argued that those lives are destroyed anyway and farmers seeking support are modern-day King Canutes who will eventually have to move anyway. Sometimes, it makes more sense to just admit defeat, rather than throwing good money after bad. As long as electors are told that two degrees is possible if only we find the right balance of punitive and reward policies the longer the policy debate remains mired in detail and technicality. It allows governments to hold out policies like Direct Action as a valid approach to climate change. It allows an ETS to include a variety of loopholes and concessions designed to protect vulnerable industries at the expense of the scheme’s effectiveness. This author has been a critic of the Greens’ approach to Labor’s ETS, scuttling a plan that might have gotten a foot in the door because it wasn’t ideal at the outset. But that was then, and this is now. It is far too late for half-measures. Unfortunately, we will never see full-strength climate policies as long as politicians can still argue that all will be well if we just cut our emissions by “five percent over 2000 levels”. If for no other reason, it might be valid to call an end to the charade of climate change action because it’s a colossal waste of time and money on the basis of a lie. It’s a lie, because none of those arguing loudly that we can still save the world are taking the next step and adding “only if we do what the world has never managed to do before and only if all the cards fall our way”. This is a lie of omission, and those telling it are often not even aware of it because they themselves have not been shown the sheer unlikelihood of what they’re proposing. If we reframe the argument in the appropriate terms, at least we can start talking about things with a sense of truth and reality rather than what we hope might be the case. There may still be time – if atmospheric sensitivity is lower than modelled, and if we can invent and distribute carbon capture technology, and if the world radically reverses direction. Under the IPCC’s optimistic models, there is still time. Meeting these optimistic assumptions will be a heroic task, but we won’t get there if we don’t try and we won’t try if we’ve already thrown in the towel. An important first step would be the support of research into carbon capture / atmospheric cleaning technologies that will be absolutely fundamental to any kind of success from here. “Declaring “game over” sends the message to those who’d be most harmed by climate change that they aren’t worth saving.” Our mythologies are full of humans in dire circumstances not giving up on hope. If there has ever been a cause around which the world could rally, that has the immediate threat to human survival on a global scale and the fortunes of small groups of people in specific, this is it. To give up on climate action is to give up on a large part of the world, raise the fences around the wagons and wait out the next great Human Extinction. Those most badly affected will be those who contributed to it the least and are least deserving. For the advanced nations to give up while there is still even the ghost of a chance is to add insult to lethal injury. We need urgency; we need the seriousness. There’s a fine line between panic-inducing immediacy and threat, and inertia-generating fatalism. World War II, in its size and ferocity and its immediacy, was enough to jolt the western world into action. We will see, over the next decade, increasingly dire climate outcomes. At some point, public attitudes and governmental policies will catch up with the exigencies of climate reality. The media and the government may always be a decade behind in understanding the threat, but action taken now on the basis of last decade’s threats will still have a beneficial effect on this decade’s crisis. We don’t know for sure that we can salvage the silverware, but we can be absolutely certain that nothing will survive if we stop fighting for it. We will miss two degrees – but the story doesn’t end there. “Everyone agrees on the general point — risks and damages keep piling up as the world gets hotter. So if the world can’t prevent 2°C of warming, it’s still a good idea to try and avoid 3°C of warming. If we can’t avoid 3°C of warming, it’s still a good idea to avoid 4°C. And so on.” The world doesn’t end at 2 degrees. Tipping points and reinforcing cycles may mean that the world is more fragile than it appears, but every extra degree of warming increases the inhospitability of our future world far more than the degree before it. If we can halt warming at three degrees, it’s still worth doing. In the end, we may be forced to move the goalposts of what constitutes success. The two degrees scenario is aimed at preserving our current civilization. Restrain global warming to two degrees and we may be able to retain our present way of life, our creature comforts, our technology, and our populations. It may be – it probably is – too late for that: our world will change and our way of life must change to suit the new, hotter world we are creating. But the end of our current, comfortable civilisation does not have to be the end of the human story. If the worst case scenarios are true, then the game is no longer about salvaging a world for our children: it is about salvaging a world for ANY children. If it is too late for current nation-states to survive, it’s not yet too late for modern life somewhere, somehow. If it becomes too late for capitalism as we know it, it’s not yet too late to preserve some kind of civilisation. If it is too late for us, it is not yet too late for humanity. We don’t know where we’ll end up, but however far beyond the point of no return we may have gone, we know that there is more road yet to travel. In the end, the best reason not to call Game Over – not to just stop trying and learn to love the bomb – is that there may yet be time to salvage some kind of future for some of us. Just probably not all of us. 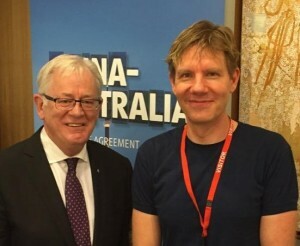 In recent weeks there has been much commentary about the formation of Bjorn Lomborg’s “Consensus Centre” within the halls of the University of Western Australia. We have been aggrieved at the profligate use of taxpayer funds during a “budget crisis”. We are offended, but hardly surprised, at the disbanding of the independent Climate Council, saving $1.5m at the cost of losing internationally-recognised expert climate change opinion, followed by a $4m grant to the Consensus Centre, whose methodology and outcomes are universally panned. We have been repeatedly shamed by our government in its statements and actions on the world stage in relation to climate change, and this latest move is simply the most recent in a long list. However, the issue goes deeper than this. Beyond our anger at the heedless use of money and the slap in the face to reputable Australian scientists whose contributions are valued far more cheaply than an imported demagogue; beyond our shame at being led by people who not only deny the recognised scientific truth but who paint Australia (and the rest of the world) as misled fools; and beyond our bemusement that our government could lend support to, and expect support from, an internationally derided charlatan who is good at manufacturing numbers. Beyond these things is the undeniable fact that our government is spending our money in an attempt to lie to us more effectively. The Consensus Centre is a propaganda machine. Nothing more, nothing less. I have written before about the cruel bind in which the Coalition finds itself. It is in the unusual, perhaps unique, position of having been voted into power to rule over a people who disagree with its central beliefs. The outcomes of such a conflict are seen in the 2014 budget – a budget true to the Coalition’s ideology, but absolutely rejected by the vast majority of the Australian people. We see the conflict in a hundred big and little ways, from the attempts to squeeze pensioner entitlements to the risible knighthood for Prince Philip. We have seen it in the government’s attitude to climate change: a conflict which will only grow as the outcomes of climate change become progressively more undeniable, as the rest of the world leaves Australia in the dust on climate change action, and as Australia’s coal assets become progressively more undesirable. Our government, in toto, does not believe in climate change. We are led by a Prime Minister who, recent avowals that climate change is real notwithstanding, still truly believes that “The climate change argument is absolute crap”. Tony Abbott presides over a government whose overriding principle is to promote and support the continued use of coal for energy, both as an ideological position and an economic imperative. Australia’s current economy relies absolutely on coal, and everything the Coalition has done since coming to power has simply increased that dependence. For the Coalition, the imperative is clear. Put simply, there are only two possible ways to make sense of the government’s avowed acceptance that climate change is happening and humans are responsible, and its actions upon coming to government. The first possibility is that the government does believe in climate change and sees future climate action as inevitable. However, Australia stands to lose, and lose big, if it accepts this publicly and is forced into action. Reforging the Australian economy as a 21st century society is seen as far too hard, a preferable approach being to deliberately sabotage and delay consensus in any way possible. In this way it can support its own temporary position, granting two or more terms of government, notwithstanding Australia’s increasing reliance on fossil fuels. In this analysis, the short term benefit which accrues to Australia and to the current cadre of politicians will eventually and inevitably lead to dire outcomes for Australia and likely disrepute for members of the current government. The current government’s actions to date do not appear to indicate that they particularly fear disrepute. The second probability is that the government really doesn’t believe in climate change. It has chosen to accept the (well under) three percent of scientists who profess any doubts at all. 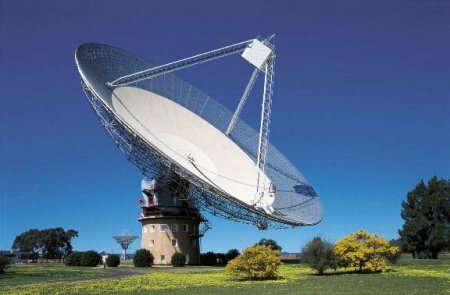 It prefers to listen to economists and accountants and fossil fuel lobby groups, to Heartland Institutes and Peers of the Realm, instead of the vast weight of scientific consensus in Australia and abroad. If you don’t believe in climate change, the only position with integrity is to frustrate the creation of any kind of global, binding emissions standards. To long-time watchers, it is quite clear that this government does not believe in climate change. The Emissions Reduction Fund that Greg Hunt is so proud of was always going to be a success because, in the government’s eyes, it is not expected to address any real problems, only political ones. Thus we see Australia’s obstructive approach to global standards and agreements. We see Tony Abbott dismantling and disbanding and defunding every climate change body over which he has the least power. It’s a rearguard battle, one that will be lost, and soon, but the Coalition can’t afford to recognise that or they will see that a large portion of their policy platform is bankrupt. At the same time, they recognise that the real fight is not against science. The unstated position of the Coalition is that the science is wrong, that the world is wrong. The Coalition does not intend to fight on that battlefield; the science is not the main game. The main game, for any political party at any time, is the beliefs of the people and the fight for re-election. Thus the Consensus Centre. The Centre is the Coalition’s next piece of artillery in the war for the minds of the people. The climate change war of ideas in Australia has not yet been won. A large proportion of Australians accept the truth of AGW, at least intellectually, but there remains a reluctance to accept the ramifications. Tony Abbott knows this. The anti-renewable lobby knows this and is relying on it. “The politics of this are tough for us. Eighty per cent of people believe climate change is a real and present danger.” That was Tony Abbott’s unguarded commentary at the same event where he made the infamous “total crap” comment. In the government’s eyes, the problem is not climate change, desertification, the loss of arable land, or global action to decarbonise the world’s energy and bankrupt Australia’s coal economy. In the government’s eyes, the problem is the people, and their stupid belief in “the global warming religion” (as Tony Abbott’s chief business advisor, Maurice Newman, calls it). The real purpose of Consensus Centre is not science. It is propaganda. On the surface, Lomborg’s Consensus methodology seems reasonable, perhaps even visionary. On the basis that we cannot fix all the problems in the world, Lomborg attempts to prioritise the various issues across the globe in terms of best return on money invested. The Consensus Centre methodology is primarily an economic one, and it judges climate change to be a low priority. It does this on the basis that addressing climate change will be very expensive for comparatively little gain. If this were true, there would be some validity to Lomborg’s approach. Unfortunately, this result can only be arrived at through underestimating the impacts of climate change, underestimating the amount of benefit global action could bring to the problem, and overestimating the cost of these efforts. Lomborg uses the “locked-in” climate change that is currently unavoidable to argue that our efforts to address climate change will be largely in vain, deliberately ignoring the exponential increase in climate damage that will come about if we don’t address global warming. He also claims that the required cost of decarbonising the world economy is too expensive, and our efforts would be better spent addressing more modest issues. The consensus methodology is specifically intended to apply economic modelling to produce a predetermined outcome. This is the antithesis of science. Science operates on the basis of disproving hypotheses, measuring real-world data in order to be sure that it matches the theory. In science, there is no room to adjust the parameters of reality to make the answers say what you want. In statistics, on the other hand, if the result comes out counter to what you hoped, you have the ability to change the inputs, say by valuing people in different places with different economic worths. The Abbott’s government propaganda efforts are seeming more and more like George Orwell’s 1984. We are being led by a government that actively works to silence dissent; that seeks to criminalise protest; that has access to secret police and legislation that can effectively make its citizens disappear without trace, announcement or recourse; a government whose defining characteristic from well before it was elected was that it lied to the people it sought to govern. Now that same government is using taxpayer money to help set up a body with the primary purpose of lying to its electors more effectively. When your government actively engages in deliberate propaganda, what can a concerned citizen do? Some have proposed campaigns of civil disobedience. However, the March in March rallies, union actions, or currently the thousands-strong marches in protest of the closure of indigenous communities appear to have little effect on the extraordinary thick-skinned government. Following each rally, government ministers and conservative columnists pop up to say things like “Twenty thousand people marched, but that means four million people did not” and “These are union troublemakers, not ordinary people” and “We will not be swayed from what’s right [in our opinion]”. Does that mean that we should not march? Obviously not. It may be too much to expect that the government would pay attention to the desires of its people when they go directly against Coalition ideology. But the one thing that currently separates this government from facism is our system of free elections. It is only at the ballot box that we can expect to address the wants of this government. So we must fight – not to change government policy, but to keep its failings in clear view. We must keep up the protests at the lies. We must also be informed. We cannot rely on this government to give us the information we require to make effective decisions at the next election; in fact, this government relies on its people not receiving, or not paying attention to, real information on climate change, on the economy, on the budget and on asylum seekers. We must keep reading (and writing in) independent media vehicles such as the AIMN. We should bear in mind that most of what we hear from politicians and establishment media is liable to be designed to keep the populace misinformed and compliant. And we should keep our sources of primary information close to hand. On climate change, to counter the “modelling” of the new Consensus Centre, there are a variety of primary sources. Skeptical Science is a vital resource. For those interested in understanding not just the truth of climate change, but the reasons behind ongoing climate change denial, this author can recommend the free online course Making Sense of Climate Science Denial, offered by the University of Queensland via ed-X. The course largely consists of a range of short online videos and interested participants can put as much, or as little, time into it as they prefer. Whatever your preferred approach, however, just bear this in mind: your government is lying to you. 2015, even at this early stage, has been a year of superheated politics and partisan disagreements. Labor, along with much of the rest of Australia, has been horrified by the Government’s approach to fiscal management. The cruel and heartless policies that are the inevitable result of considering vulnerability and need as moral failings, combined with the protection and mollycoddling provided to the rich and powerful – in the Liberal worldview, the morally superior – have disenfranchised large proportions of the Australian electorate. Misrepresentations and political rhetoric aside, there are indisputably economic headwinds in Australia’s future. At the core of the political wordstorm is a simple cruel fact. Australia is not globally competitive. In a globalised world of trade – the world that Tony Abbott and the government are hell-bent on plunging us into via as many free trade agreements as possible – Australia cannot compete. Australia cannot compete on the basis of manufacturing consumer goods. There is truth to the contention that our industrial relations regime is a drag on business competitiveness. Australians have quaint ideas about fair pay, about the importance of holidays, about the necessity of workplace safety. The hard truth is that the regulations in other countries are not as rigid as they are here. Manufacturing clothes in Bangladesh, as a pertinent example, is far cheaper than making them here. Australians generally feel that sweatshop conditions of virtual slavery are inappropriate for workers and should not be supported. Most of the time, we buy the cheaper clothes anyway. Occasionally a fire in factory makes the news and prompts Australians to check the origin of their goods, but these are temporary distractions. Australia cannot compete on the basis of services. In a world where India and China, the heavyweights amongst a multitude of other nations all struggling to match America’s prosperity, are likely to have over a billion new entrants to the middle class in the next decade or two, there will always be someone overseas happy to provide the same services an Australian could provide, and for much less remuneration. Australia’s education market is currently competitive, but this cannot be expected to last. If Australia’s status as a prosperous nation were to flag, how long would an Australian university degree remain a desirable achievement? In a global environment, goods and services can be sold either to a domestic or an international market. The important factor to consider is the trade deficit: the imbalance between goods and services produced by Australians and sold to the international market, and the goods and services produced by international markets and sold into Australia. The trade deficit at present is historically bad – and growing worse. This is the true unsustainability in Australia’s economy. Australia’s current economy is underpinned by the resources sector. The ‘mining boom’ might be over but resources industries and royalties still bring in a large proportion of Australia’s revenue – at the expense of skills, resources, manpower and economic support to any other part of the Australian economy. The Coalition government is well aware of the imbalance in Australia’s output, and is determined to support the mining industries just as long as anyone, anywhere, is still willing to buy the raw materials we dig up. The deleterious effects to manufacturing, to refining, to science and non-mining industry, are well known, but the Coalition’s forward thinking appears to stretch no further than one or two elections ahead. With a chronic trade deficit, with an economy utterly reliant on mining industries where the terms of trade are deteriorating with a concomitant effect on the country’s revenue and budget position, Australia is in critical need of a differentiating benefit. Australia has little to offer the world, but Australians have plenty they want to buy from the world. That’s a recipe guaranteed, over time, to make this country the “white trash of Asia”. Neither major party appears to have a good solution in mind for this need. Politicians mouth about Australia being the “clever country” – whilst presiding over consecutive cuts to science and technology research, removal of subsidies to innovation and cuts to schools and universities, over a long time frame. It is true that science and technology are the underpinning of a progressive and prosperous nation. Unfortunately science and technology are the easy targets for a largely ignorant populace easily turned against “ivory tower academia”. Labor has at least espoused some piecemeal policies aimed at diversifying Australia’s economic base. Its broadband policy (the original NBN plan) was a critical national infrastructure project intended to support the internet requirements of a country in a globally-connected world. Income from the MRRT was intended for an across-the-board cut to the corporate tax rate for small to medium enterprises. Australians are ruefully aware of the fate of these policies. In their place we have ongoing subsidies to fossil fuel industries and the active efforts of senior politicians to secure international venture funding for new mining projects regardless of the environmental cost. The Coalition is fighting a rearguard effort, a vain attempt to prop up the resources industries in this country. A generous evaluation indicates that they are fully aware of Australia’s weakness in every other area of the economy; but if this is the case, a wishful-thinking approach that hopes that Australian manufacturing can recover if we only pour more resources into non-manufacturing industries seems short-sighted, at best. Without a forward-thinking plan to provide Australia a new economic base, the future appears grim. This author would like to suggest one possible set of policy priorities that could set Australia up for a useful participation in the 21st century global economy. The first thing to note is that this is unashamedly a spending policy. It has to be. The old maxim is that you cannot tax your way to prosperity (a debatable proposition at best that I have only ever heard espoused from fiscal conservatives); equally, you cannot save your way into prosperity either. Labor understands this: you need to spend – otherwise known as “investing” – in order to reap greater benefits later. The Coalition also reluctantly admits this, but their approach is to acquire the required investment funds by selling things, and then to “invest” in a hands-off manner and hope that the economy will somehow grow just because there are more roads. The Coalition has taken some baby steps in this direction but it is likely that a hands-off approach will not be sufficient. Funds are required for every useful investment. For this proposed policy, a significant amount of funding would be required. I don’t propose here to mandate a particular way to acquire these funds. Progressives might understand the value of borrowing the required funds, but if government borrowing is too poisonous a political concept at present, then there are a multitude of ways for further revenue to be secured. Let’s just posit a slight adjustment to the levels of superannuation tax breaks, earning $10bn a year. This mid-way figure might be able to appease those who argue against the abolition of the tax breaks while still reining in some of the worst rorting of the system. $10bn p.a. would be plenty of resources to fund the Future Industries Fund. The Future Industries Fund – the FIF – would be tasked to identify and then intensively support six to ten high-value fields of scientific and technical research. These would be fields of endeavour where Australia has research capability or a natural advantage. As an example, we have almost squandered our natural advantages in the field of renewable energy: with our huge land mass, abundant sunshine and wind and low population, we have been and should be a world leader in this field. That we no longer are is a sad indictment on the policies of both sides of the spectrum. We could reclaim a world-leading position – if we wanted to. There is the key phrase. “World-leading”. If Australia is going to compete in a global market, it needs something it can sell. That means something only Australia can or will make, or it means making something cheaper and/or better than others. We have already established that Australia cannot both make things cheaper and retain current standards of living for its people. If standard of living is a priority, we must aim to excel either by finding industries at which we can excel – such as the French making wines, or regions of Italy making shoes – or build new industries that put us ahead of the pack. The proposed policy, the Future Industries Fund, would aim for the latter goal. Because any spending fund is susceptible to gaming and fraud, the first priority for the FIF would be to establish an oversight group. This group would first be tasked to identify and report on the best industries for the fund to support. Renewable energy might be a logical choice – but we should not take the opinion of a blog author. Clear and firm criteria would have to be met, covering Australia’s current capability in the field, the state of each identified field in the rest of the world, and the potential for the field in creating and sustaining new saleable industries. Having identified the areas of interest, the fund would transition to supporting scientific and technical research in these areas through a range of grants and subsidies. Obviously, this would include a re-funding of the CSIRO and of University research. Potentially, the government could take part ownership in the technologies which arose from funded research. Any revenue from this should be directed back into the FIF. It’s not enough to be world-leading inventors and researchers. Research and development only employs a small proportion of the workforce. The FIF would also be tasked to support, again through grants and subsidies, industries that arose to capitalise on new technologies. In the hypothetical example of new solar energy technology, this would include not only the energy companies that build the solar farms, but also the artificers which build the parts for new solar energy projects; the engineering firms that build them and maintain them; the infrastructure companies that carry the energy to the people; and even the resellers that onsell the technology to the rest of the world. The FIF would also support university or TAFE courses that specialised in teaching the new technology, or provide scholarships in specific fields. It’s not enough to establish a world-leading industry. As soon as you start selling the technology into the rest of the world, the clock starts ticking, and it will not take long before you have competitors in your market. Continued prosperity requires the FIF not to rest on its laurels. Having established an industry, an infrastructure, an educational framework, it needs to continue to support the research and technology that created it. It is necessary to keep pushing the envelope. There would, of course, be failures. Any new scientific or technical research runs the risk of dead ends, the chance that new technologies developed would be too expensive or too difficult or too ahead of their time to be marketable. Soemtimes, financial support can address this. Renewable energy technologies used to be hugely expensive; with time and continued government support across the globe, the cost has fallen to the point that solar and wind are becoming cheaper than coal, at least in some markets. The FIF would not rely on “the market” to build a new technology up to scale; if the aim is to push the envelope then artificial support is required. But in some cases, the technologies just might not work. It might require more funding than is worthwhile to find economies of scale. It must be accepted that sometimes a field of research initially seen as promising might turn out to be a failure. Competitors in other countries might make breakthroughs that put them years ahead of the pack and relegate FIF projects to also-rans. In such cases, the FIF must be prepared to redefine its areas of interest and write off the funding already provided. Conservatives will likely look at these proposals and choke on their tea. This proposal is for a taxpayer-funded bureaucracy with a whole raft of administrators, where research if funded with no clear business case or projected return on investment, where the government takes an active role in picking and supporting winners. All of this is anathema to the Liberal worldview. Unfortunately, we’ve seen the Liberal worldview, and we’re starting to see where it leads. This is a simple proposal from a single blog author. There is no Treasury behind this idea. The Universities have not provided expert opinion. But if one hack author can design a set of policies intended to address the fundamental problem facing Australia’s economy, how much more could a progressive political party with the resources of government behind it achieve? I put this proposal forward for discussion. Let’s start reframing the conversation and hope that the political machine is listening. Tony Abbott’s government has taken some body-blows in recent weeks, and Abbott’s own leadership standing is suffering. Some say that this is due to a savage budget that seeks to address a non-existent budget emergency by penalising those who can least afford it and by punching the powerless, compounded by poor communications and head-scratching political decisions. If this were the case, one might be forgiven for thinking that the best way of recovering the party’s fortunes might be to revisit the thinking behind the budget, to seek to appropriately identify who the real lifters and leaners in the economy are, and to fix the way that the government goes about doing business. Or you could go for the approach of sowing distrust and disunity, painting an amorphous group as the “Other” in order to convince Australians that you are “One of them” and being strong to protect them from the forces of darkness. This is a skill-set and a rulebook Tony Abbott inherited from his great hero John Howard and this weekend’s video message shows that he has enthusiastically embraced it. If national security is so important that it has prompted an address to the nation, at the expense of attention to Joe Hockey’s “Never back to surplus” budget and Andrew Robb’s TPP negotiations and the likely forthcoming execution of the Bali Nine kingpins, then it would seem worthwhile to examine the detail of Mr Abbott’s speech. When you look at what Mr Abbott had to say, it becomes clear that he is taking two specific incidents and generalising threats from them, generalising failures from them, and using them to beat up the necessity for changes. 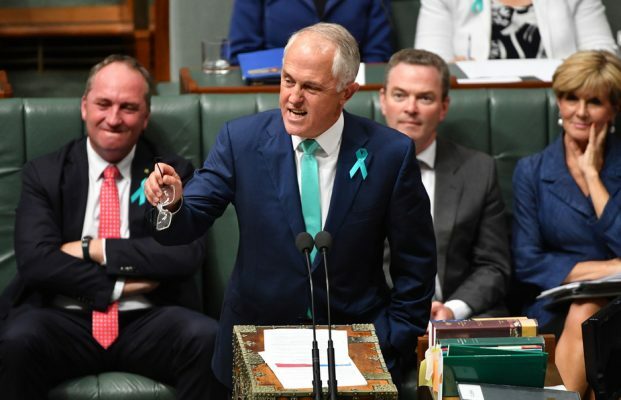 In two minutes and 23 seconds, he commiserates with the victims of violence, generalises the threat to all Australians, spruiks the actions of the government, reminds us of the threat and reassures us that he is keeping us safe. An examination of the specific incidents to which Abbott refers, however, tells a more sobering story. There have been no significant failures of our immigration and border protection regulations, no breaches of our balanced and considered jurisprudence and bail system. There are no practical measures that could have prevented these specific events that prompt Abbott’s address. Once you understand that any measures the government might propose can have no possible effect on preventing these specific events, the low-brow dog whistle becomes crystal clear, and it becomes possible to see the real threat behind the words – the threat of further intrusive and unwarranted interference into people’s everyday lives. Abbott begins by referring to the recent Lindt cafe attack by Man Haron Monis. It is perfectly appropriate to “acknowledge the atrocity”. It was one man with a shotgun and three people, including the attacker, died in the event. “Atrocity” is a strong word, but Abbott commences as he means to continue. In any case, the scene is set, the tone of the address is identified: this is a message about terrorism. Abbott continues with a pledge to keep Australia as “safe and secure” as humanly possible. Federal and State governments are conducting a joint review into the siege, and the report will be released soon. The report will make recommendations and the government intends to take some actions. History has shown us that actions taken by a government are often only a subset, or sometimes a completely different set, to the recommendations of any given report, but we will reserve judgement. In effect, Abbott is attempting to take credit in advance for an announcement the government has yet to make. He is showing the government is strong, by pointing to the future when it intends to take strong action that it can’t tell us about yet. We may get an inkling of the actions the government has in mind when Abbott addresses the Parliament on the topic of national security next Monday. 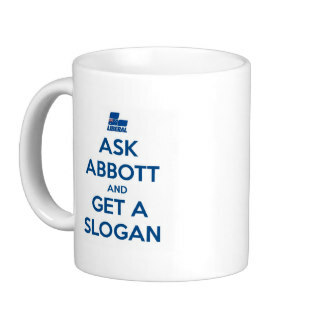 But we may have a sneak preview as Abbott continues on. also of the arrest this week of two young men, home-grown potential jihadists. Despite not mentioning them specifically, the media has been quick to connect the dots between their arrest and this statement by Abbott. The problem is that neither our immigration, residency, citizenship nor bail processes failed in any of these cases. There were indications perhaps of mental instability, of paranoia, and definite isolation and marginalisation. Monis was known for holding “extremist” views. That’s easy to say in retrospect. His views on the West’s involvement in Middle-Eastern conflicts would not be out of place in a Greens party room meeting. He was, until very shortly before his act of terror, a well-dressed and urbane Australian. Could the Lindt Cafe attack have been avoided if Man Haron Monis was denied bail? Certainly. On what basis could bail have been denied, though? This was not a wild-haired fanatic before the magistrate. Bail is a State issue of law enforcement. As it happens, laws have already been tightened in NSW that would have prevented Monis’ bail. So what exactly does Abbott, in the Federal sphere, expect to do to make Australians still safer? The recent arrests in Sydney were of two young men, Mohammad Kiad and Omar al-Kutobi. Allegedly they were arrested just hours before they intended to attack members of the public with knives. Could either of these alleged terrorists have been captured earlier with tighter border protection policies, or more intelligence resources? Were they abusing their Centrelink entitlements? It would appear not. Kiad, now 25, came into Australia four years ago on a family visa to join his wife. al-Kutobi fled Iraq with his family ten years ago; he came to Australia in 2009. Shortly thereafter he received a protection visa and he became an Australian citizen in 2013. Neither man was a wild-haired fanatic, nor obviously a danger to the public. The pair were not known to police. They were not known as religious extremists. Until recently, it doesn’t appear that they were. Instead, they were young Aussie men, fond of barbeques and American TV and luxury goods. Their radicalisation occurred over the last few weeks, perhaps triggered by the attacks on the Charlie Hebdo offices last month in Paris. Their rapid radicalisation was reported to Australian authorities by their own community about a week ago. Mere days later, police swooped. How were tighter immigration rules four years ago going to prevent a planned terror attack that took months, at most, to be conceived and instigated, from men who by all reports only became extreme within the last six months, and on Australian soil? The other problematic element of this densely offensive paragraph is the reference to Centrelink. In the context of this strident message, the inference is clear: that terrorists rely on Newstart. This is so ridiculous as to be laughable – yet it plays to the same crowd who lapped up the election rhetoric about boat people clogging up the motorways of Sydney. The other possible reading is that people who rely on welfare are as bad as terrorists. I’m not certain which interpretation is the more offensive. Who are these bad people? That’s not been shown. Hopefully it’s not Man Haron Monis, because if we’re going to stop people like him from “taking us for mugs”, we presumably will no longer be providing welfare to those with mental issue. Hopefully it’s not Mohammad Kiad and Omar al-Kutobi, because in order to curtail the terrorist threat they pose, we would need to prevent muslims in general from entering the country. Abbott makes a variety of references to the “Islamist death cult”. There’s a three-word slogan that’s earned him a couple of poll points before. It is also simultaneously emotive, highly offensive to large groups of undeserving people, and impossible to criticise without coming across as an apologist. Well, this author will criticise it. Islamic State might possibly be Islamist, but using the term paints all Muslims alike. IS is most certainly not a death cult. Yes, it uses unsupportable means and revels in bloodshed, but it does so not for the sake of killing people, but rather to attract those it considers devout. The killings are a means, not an end. And the idea of a world caliphate of muslims is dear to many. Nobody should seek to defend the actions or the Islamic State. However, belittling IS with a three-word slogan ignores the complexities and the real grievances and aspirations of millions of muslims everywhere. Abbott goes on to talk about the much-discussed “new threats” of home-grown backyard terrorists, armed with “a knife, a flag, a camera phone, and a victim”. Terrorists are everywhere, around every corner, lurking under every bed. By all means, do what you can to identify potential attackers before they take a life. But in the same way that it’s impossible to protect the public from an armed robber in a milk bar, it is impossible to protect the public from a quiet young man who just wants to be respected. Abbott finishes his presentation by proudly boasting of working with other nations to degrade the Islamic State through military means; and improving the powers and resources of Australian intelligence agencies. Finally, he claims the need for stronger laws to “make it easier to keep you safe”. These include the data retention laws currently before parliament, but, worryingly, might also include other laws and regulations Abbott does not describe, but which will inevitably further encroach on our liberties and our privacy. Of course, it’s all for our own good. The government is being strong to keep Us safe from Them. “As a country we won’t let evil people exploit our freedom.” As Kaye Lee has written today, it’s a pity that credo doesn’t stretch to include the current government. “We are not the Labor party.” Amongst the leadership tensions of the past few weeks in the ruling Coalition government, Prime Minister Tony Abbott appears to have adopted this as a mantra of sorts, an incantation to ward off the attacks of his foes both inside and outside of his own party. A return to the internecine warfare of 2010 and 2013, he argues, would make the Liberal party as bad as their predecessors. He speaks as if there is something qualitatively different between the parties and the way they go about their operation, as if the Liberal and Labor parties have entirely different and incompatible DNAs. Whilst the spill motion may have failed, the simple fact that the motion was raised shows that this is manifestly untrue. Labor has not been slow to join in the chorus of jibes, directly quoting back invective initially directed at Julia Gillard and Kevin Rudd by Abbott and his fellows. There is no shortage of material to use. Tony Abbott, Joe Hockey, Christopher Pyne and others were incessant in their criticism of Labor’s leadership woes, all at the instigation of the consummate attack dog who now finds the tables turned. The rich irony is that leadership battles are only unpalatable because Tony Abbott made them so. They are not new to Australian politics. Admittedly, leadership changes at the Federal level are rarer than in State politics. Additionally, many Prime Ministers step down “gracefully” before the inevitable push. It is not until Kevin Rudd and Julia Gillard – and the unedifying return to Rudd – that replacement of a sitting Prime Minister by force became somewhat common. However, the attempt by Liberal backbenchers to push a spill motion and depose Tony Abbott shows that leadership battles are not restricted to one side of politics. They are caused by something deeper – a malaise in politics. Deposing (or attempting to depose) a sitting, first-term Prime Minister is, admittedly rare – at least, until recent years. So how is it that we’ve come to this? Kevin Rudd came to power in 2007 with a sweeping majority and the hopes and aspirations of Australians behind him. Less than three years later he was pushed from office, a broken, tearful man. What forces wrought the triumphant visionary of Kevin 07 into the chaotic, vindictive morass he became? The issue at the heart of Kevin Rudd’s downfall was his inability to govern. Rudd was a great communicator, an idealist, a visionary and a fantastic politician for elections. In government, however, he proved lacking in the skills and attributes required of a Prime Minister. This came about, essentially, because elections and governments require very distinct skill-sets. What makes a great leader during an election campaign does not make a wonderful leader in power. Unfortunately, the reverse is also often true: great leaders may be let down by their inability to win elections. Our modern democracy revolves around elections. They are the fixed points at which the people can have their say. It has been argued that Australia is a democracy for a month or so every three years, after which it becomes an effective oligarchy. There is some truth to this. Increasingly, however, the three years between elections are conducted with an unremitting focus on the next election. Oppositions have this easy: they spend their years in the political wilderness with nothing but the next election to think about. Government is a harder job. Making decisions in the greater good, aware that every action will have detractors, will be attacked by the opposition and by the media, requires courage. Making decisions aimed solely at bolstering the government’s reputation at the next election is easier. During elections, enormous sums of money are spent on revealing and promoting policy, on attacking political opponents, and on strategising the message. How much do you reveal? How long can you keep your best offerings hidden, in order to best capture public approval whilst restricting the other party’s opportunity to respond? All is done with an eye on the prize – the all-important twelve hours when the electoral booths are open. Elections are replete with unreasonable expectations, with impossible promises, and unfortunately often, dirty tactics. Throw a partisan media into the mixture and an election becomes so much froth and noise, a lot of the detail can be obscured. But then the election is over. The winning party is expected to segue into governing. Suddenly there is no money for advertising. The messaging takes a back seat: governing is a long game. In governing, there is limited value to continuing to attack the other side. Even a party which had the media’s partisan support during the election can find, all too soon, that it becomes hostile. Sudden attention is paid to detail. Promises were made during the campaign, but when it comes to execution, any number of headwinds interfere: from the quality of the public service to unexpected financial setbacks. Changing circumstances require flexibility, but promises and public expectations are not flexible. In the public’s view, the choice has been made. The election is over: it is time to make good on the promises. And woe betide a party that cannot deliver on its promises, the next time elections come around. Campaigning requires a particular skillset of a political party and its leaders. Leaders must bring inspiration and vision. An election from opposition can be carried on criticism of the government, but only insofar as plans can be proposed to address the identified shortcomings. Attacking your opponents will get you only so far; a party needs to explain what it would do differently. The universal truth of electoral campaigns is promises. Kevin Rudd was a great campaigner. He brought vision and grand plans. His rhetoric inspired the young and the old alike in an idea of what Australia could be. He promised changes that would be difficult, but he made them sound easy, and he had obvious commitment to his cause. Kevin 07 was a whirlwind of hope, and with a strong team behind him, he made his promises sound convincing. Unfortunately, Kevin Rudd proved to be terrible at governing. The essential qualities of a government leader are the ability to negotiate, persistence to follow-through on projects, focus on detail, delegation and empowerment of your team, and detailed planning. These were not Kevin Rudd’s strengths. In eternal search for polling approval, Rudd lacked the ability to push projects through to completion against critical media campaigns and public resistance. His inability to delegate power and responsibility was also a detriment. In an election, the leader’s visibility and personality are critical to success. But Australia is too large and complex for a single leader, however frenetic, to manage. Kevin Rudd and his centralisation became a bottleneck, and Labor was unable to effectively execute on its promises. Kevin Rudd was a great “wartime leader” but a mediocre peacetime one. When he was deposed in favour of Julia Gillard, the priority was to regain some momentum on the projects that had stalled. Fulfilling at least some of the promises that won the 2007 election would go some way to address the electors’ buyer’s remorse. Such was Gillard’s success in a short period of time that she won Labor another term of office. Gillard was amazing at the things that Rudd was not. Negotiation and persistence were the hallmarks of the Gillard administration. With Gillard’s direct intervention and follow-through, outstanding issues got resolved. Promises made at the previous election, sabotaged by poor planning and policy backdowns, were resolved in short order – perhaps with suboptimal outcomes, but enough to get them off the table. Gillard was a very successful peacetime leader and history will likely judge her kindly. However, she was let down in the face of Tony Abbott’s incessant campaigning by a poor communication style. Gillard was not seen as a great campaigner. A last-minute return to the Great Campaigner, Kevin Rudd, in late 2013 was insufficient to address the extended election campaign Tony Abbott had run from the moment he ascended to the Liberal leadership. Tony Abbott was also a great campaigner. His approach was different to Rudd’s; he brought no grand plans or vision to the table. Instead his approach was to sow discontent wherever possible, and his pitch was for a return to the Good Old Days of prosperity under Howard. His messaging was consistent and strident and believable. With no grand plans to propose, details of execution were not required. Tony Abbott ran a three-year election campaign leading up to his election in 2013. The primary promise of Tony Abbott’s Coalition was to “Not be Labor” – a message he is still pushing today, over a year after taking government. Abbott’s success on the campaign trail has not carried through to success as Prime Minister. Tony Abbott and his cabinet repeatedly point to their grand successes – the mining tax, the “carbon tax”, and three free trade agreements. Regardless of whether you consider these outcomes to be successes, unstated are the Attacks on Everyone of the 2014 budget, the ideological attack on industrial relations, the Captain’s Picks, or the reliance of the Coalition on a model of Australia’s prosperity (mining and export) that is rapidly coming to an end. Not described is the government’s lack of a plan for developing the country into a nation of the 21st century – nor the failure of the government to progress its plans to forge the country into the preeminent example of a 20th century country. Not mentioned is the changing circumstance which is the belated acceptance of the rest of the world that Climate Change is an existential issue demanding action. Like Rudd, Abbott is also a centraliser. The inability to entrust his Ministers with management of their own offices, let alone their own portfolios, has led to internal dissatisfaction – just like Kevin Rudd. The inability of the Abbott government – with its hard right-wing policies and its head-kicker parliamentary supremos – leads to an inability to negotiate in good faith with their political opponents, which leads to legislation languishing in the Senate. In turn, this leads to further deterioration of the budget. This government seems to know only one way to respond to a budget problem, but this approach does not have the approval of the people the government is elected to serve, nor the Senate which protects them. The skills and attributes that brought Tony Abbott to government are not the skills and attributes needed to effectively govern this country. This is the malaise of our democracy. The focus on winning government means that leaders are forged who can win elections but not lead the country. The enormous political cost of changing from Rudd to Gillard, and back to Rudd, led to Rudd introducing new rules to the Labor party around leadership contention. This was good politics. It is not, necessarily, good government, if it serves to protect the interests of an incompetent or unsatisfactory Prime Minister. Such rules, ironically, would serve to protect Tony Abbott, and a similar set of requirements have been proposed for the Coalition that would further endanger Australia’s ability to unseat a leader who can campaign but not govern. History shows us that Tony Abbott is unlikely to survive as Prime Minister to the next election – unless the Coalition follows Labor’s lead and institutes new rules to prevent the unseating of a Prime Minister. If Tony Abbott is unseated, perhaps as a result of another poor Captain’s Call or a further string of poor polls and State election results, who would be expected to replace him? And would Abbott be replaced by a good governor – or a great campaigner? Amongst the ideologues and right-wing extremists, the climate deniers and the silver spoon born-to-rule set, who on the Coalition’s side can be the great governor Australia needs? Malcolm Turnbull looks like the most likely candidate for the top job (despite the particular loathing which some of his Coalition colleagues reserve for him). Can Malcolm Turnbull the Despised become the negotiator, the facilitator, and the project lead that the Coalition so desperately needs? “Australians don’t want another election”, says Tony Abbott. Naturally, this reflects both his own achievement of the goal – personal power – and the government’s standing in the polls. For Tony Abbott, elections are not about fulfilling the will of the people. They are about putting the right people into government. The “right people” are already there, job’s done, so there’s absolutely no call for another election – even one that might strengthen the government’s own standing. In any case, a new election at this point in the cycle would not suit the Coalition. It is standard political operating procedure. In your first year in office, you do the “Mother Hubbard” trick and use it as an excuse to bring in the most unpopular and difficult of your priorities. To some extent you can still trade off this dialogue for your second budget as well. By the time you get to the third year in office, you need to start thinking about another election, which means you focus on what little tidbits you can feed to a battered population. John Howard was a past master at this cycle and it bought him three terms despite the most egregious betrayals of the electorate – including a “never, ever” GST. It was only the continued focus on Workchoices – introduced midway through a cycle and still “alive” at the time of the 2007 election – that ended his run. This was despite Howard’s late attempt, in mid 2007, to introduce a “sweetener” to his toxic IR platform, in the form of a fairness test. This is actually a crystal clear example of the way the Coalition works: impose your ideological position early, and if required, water it down slightly by the time of the election. You still end up with most of your goals intact. A couple of days ago Kaye Lee related the experience of a senior government official, who was confident the Coalition would win the next election: “The sweeteners are coming and that is what they will remember.” If this is true, then Australia needs an election NOW – before the Coalition gets the chance to bring about its full electoral cycle of “hit hard, then give ’em back some of what you took to win votes”. This statement leads to consideration: what kind of sweeteners can the Team Big Australia realistically offer come 2016? It is certainly true that the toughest changes in the recent budget are expected to come to pass later rather than earlier – either ramping up over the next few years, or budgeted to become active after the next election. In part, this is Tony Abbott’s self-limitation: his unwarranted promises not to impose changes to education, health, the ABC or seemingly anything else before another election. Those promises force Abbott to adopt a largely status-quo approach: no major changes for the first few years. How that must smart. Politics operates on a long-term forward-planning basis, but it’s often not good at communicating that. See, for example, Labor’s MRRT, the proceeds from which are expected to ramp up significantly in the next few years. That won’t save it from the Coalition’s “barely any revenue” rhetoric or its intractible desire to repeal it. Therefore, much of the pain of Joe’s budget, the budget that we’re all squealing so loudly about, doesn’t actually kick in until after the next election. Notable exceptions are the changes to Newstart / Youth Allowance eligibility, which start on 1 January 2015, and the medicare co-payment, scheduled to begin 1 July 2015. (Both dates presume the legislation can be successfully passed before those deadlines.) But many of the most painful elements, including the indexation changes to the age pension and the $80bn cuts to health and education payments to the States, aren’t expected until after 2016. All of this indicates that come 2016, the Coalition has more pain in mind, not sweeteners. But lately, the conversation has notably changed tack. Joe Hockey has previously stated that the 2014 budget is just the start. We don’t hear much said about this any more – the idea that the Coalition wanted to go further, cut more harshly. Instead, the promise of doing more, with the implication that this is necessary and good, has transmuted to an amorphous threat that more will come if Labor and the Greens don’t play ball and pass this budget. The conversation has changed. Instead of being the first step in a long-term dialogue with the Australian people, “starting a national conversation about how we can live within our means” as Hockey said at the time, the 2014 budget is now the magic pill that tastes bad but will make it all better by the time the next election comes around. It seems like not too far a stretch to expect that the Coalition plans to begin handing out its incentives by the time the next election comes around. Again, what kind of sweeteners can it actually offer? And is there any possibility that they might be successful? Will the Coalition really “romp home” in 2016? Having run so hard on the concept that “Nothing is for free… nothing can continue to be free,” it seems unlikely that they will offer to restore the social support structures they’re currently fighting so hard to dismantle. Changes to unemployment benefits, healthcare funding, and pensions are long-term structural changes. The intent is good even if the methodology is not; these are areas where ongoing expenditure must be controlled for fear of them outstripping the government’s ability to support them. It would be counterproductive for the government to offer to retreat from its changes, so it’s fairly certain that, once legislated, the six-month furlough of payments, the medicare co-payment, and the changes to eligibility and indexation of support payments will be here to stay. They could offer more infrastructure. But Tony Abbott’s repeated mantra of being “the infrastructure Prime Minister” appears to be falling on deaf ears. This is partly because of the Coalition’s intent to artificially restrict the kind of infrastructure projects it will engage in, and partly because of a range of State Liberal governments backing unpopular or inefficient projects that lack the populist chops except amongst people who are already their strongest supporters. Thus the Coalition is likely to find itself constrained by the time of the next election. Building more schools and hospitals will not be helpful if the funding for existing schools and hospitals has been gutted. By the time of the next election the promise of more toll roads is unlikely to be a big draw-card, and the Coalition doesn’t want to be engaged in building rail. This leaves tax cuts: the perennial stopgap of conservative governments and darling of John Howard’s appeal to the battlers. Tax cuts are within the Coalition’s DNA – their raison d’etre is to reduce taxes, reduce government offerings, and reduce community support. For those who can’t prosper under those conditions, the Market Will Provide. Past Coalition election sweeteners have included a succession of income tax cuts, company tax cuts, and bonuses – for instance, the baby bonus was introduced by Howard in 2001. The 2007 election campaign carried all manner of sweeteners – 9 billion dollars worth – if we would only give the Coalition another chance. In many cases these offerings were “me-too” responses to promises already made by Labor. So any incentives the Coalition can offer are likely to come in the form of tax cuts. They might be named “bonuses” or “supplements”, and they might be one-time only, but effectively the government will offer cash, hand over fist. Labor’s offer to increase the tax-free threshold to $18k and adjust the tax brackets, effectively giving tax cuts to large portions of the electorate, will be entirely forgotten in the rush of joy we will all feel at the government’s largesse. Expect many congratulatory statements from Team Abbott about how we all “pulled together”, bore the pain, took our medicine and reached a point, thanks to the Coalition’s careful management of the economy, where we can afford the rewards. But will sweeteners be enough to secure the Coalition another term? It’s been repeatedly said that elections are lost, not won. It’s certainly true that the past two changes of government have occurred in spite of offered sweeteners, rather than because of them. In 2007, as mentioned above, Howard offered more incentives to electors in addition to a concession of watering down his beloved WorkChoices regime, but that didn’t save him; public opinion was far too set against his government and Kevin Rudd led Labor to a resounding victory. In 2013, too, Labor had far more on the table than the Coalition, including the aforementioned adjustments to income tax that would have seen millions of Australians no longer needing to pay tax at all. Ironically, Tony Abbott’s repealing of this legislation means that many more people are paying more tax than they otherwise would. Regardless of the sweeteners on offer, voters resoundingly voted Labor out of power. Unfortunately, the corollary is that they voted Tony Abbott in, without ever necessarily being won over by his ideological intentions on policy. Labor warned the electorate, at length, about the likely outcomes of an Abbott victory. Tony Abbott blithely dismissed these warnings as political alarmism and promised that he wouldn’t be like that at all. So now that his reassurances have proven hollow, could the Australian people be hoodwinked a second time? We’ve never seen a government with the trajectory of the Abbott government. Already it languishes in depths of unpopularity not traditionally seen until several terms into government and, usually, preceding an electoral loss. It would seem at least possible that One-Term-Tony could be a predictive term. Historically, Australians don’t vote governments out after only one term, but this government may prove the exception. It seems likely that the only thing that could save them would be an electorate that still thinks that Labor is unelectable by the time of the 2016 election, which is why rejuvenation and reform of the Labor party is so critically important. If the Coalition is able to retain government at the next election, the faint consolation will be that it won’t take long after the election for them to tighten the screws further. Then we’ll be having this discussion again, three years later, and with each successive election the chances of Labor regaining power improve. The question then becomes, how much damage will Tony Abbott and his fellows do to Australian egalitarianism and society?